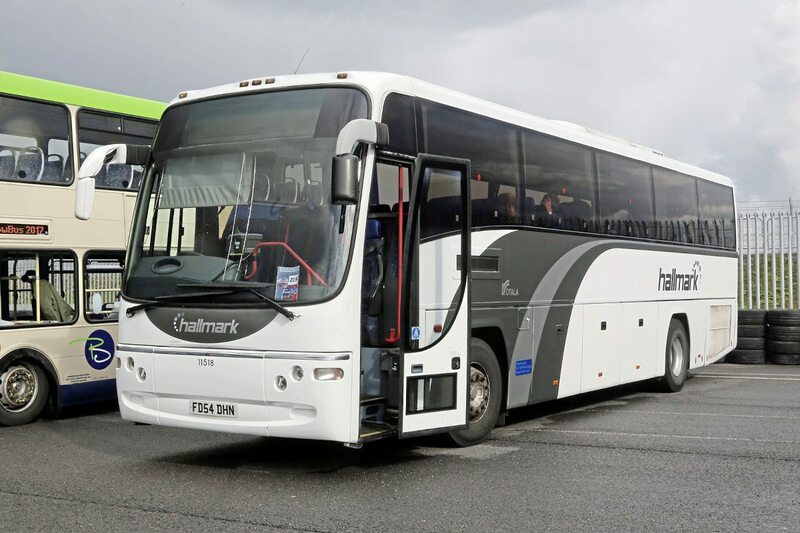 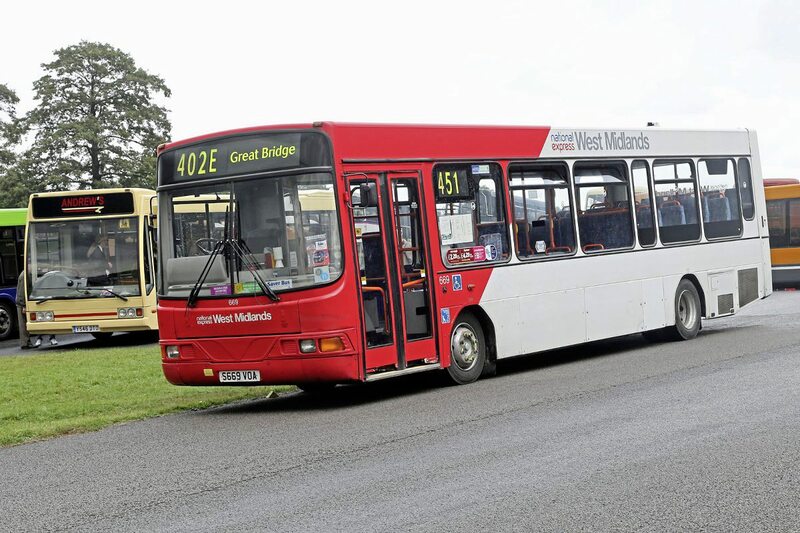 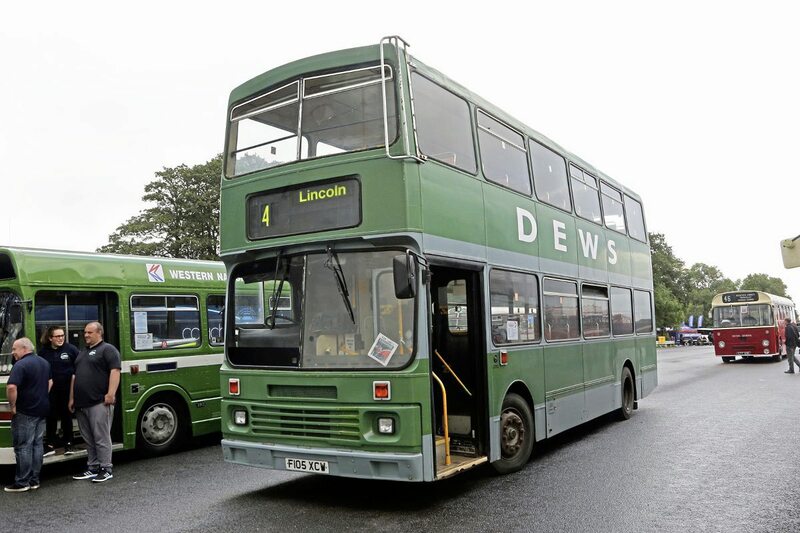 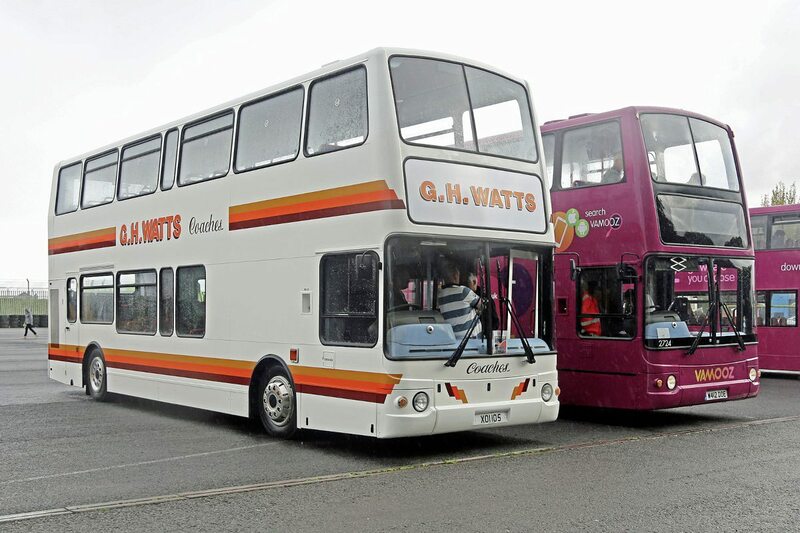 The UK’s largest gathering of buses and coaches returned to Donington Park for its 45th edition. 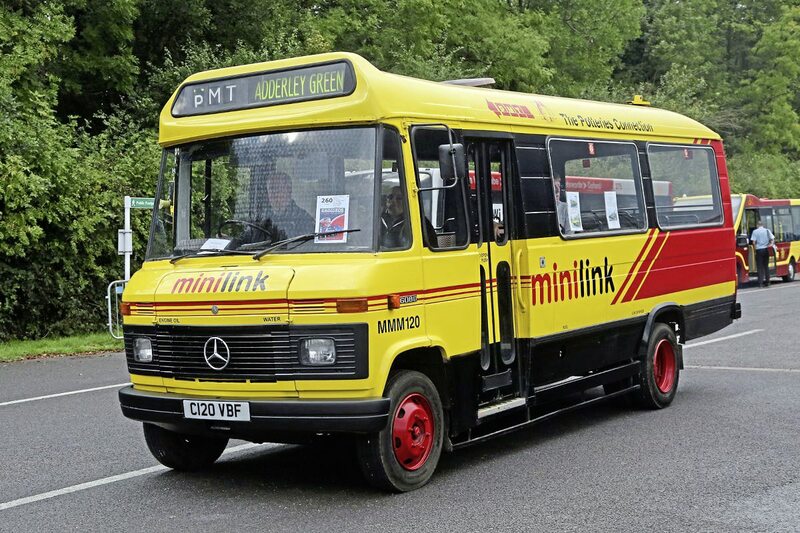 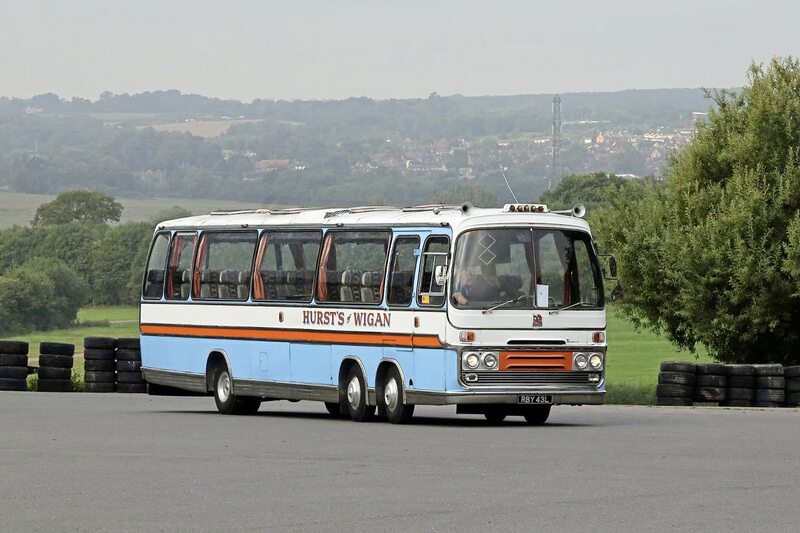 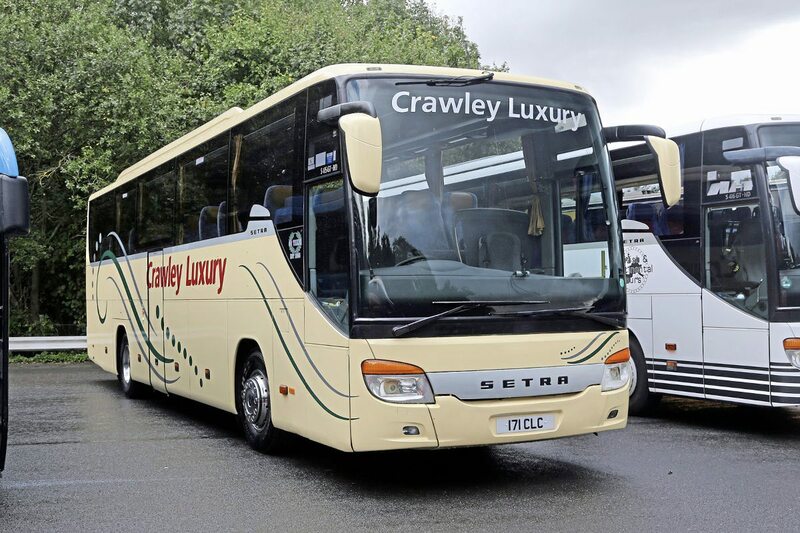 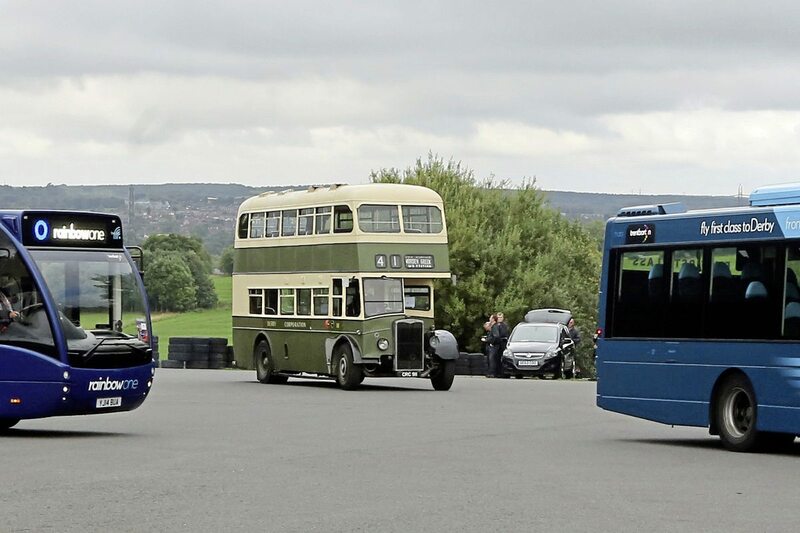 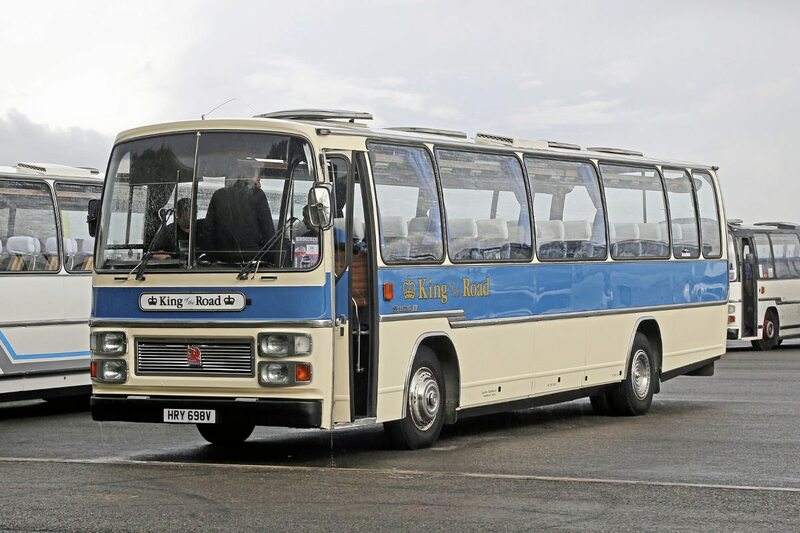 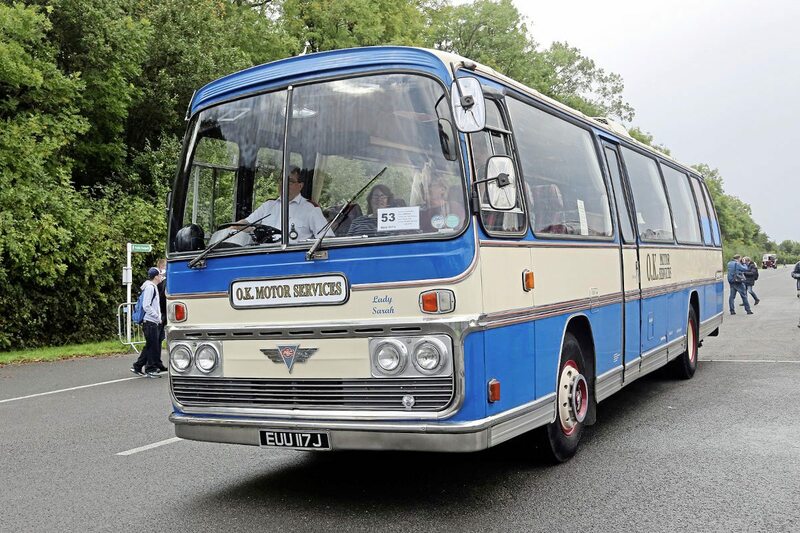 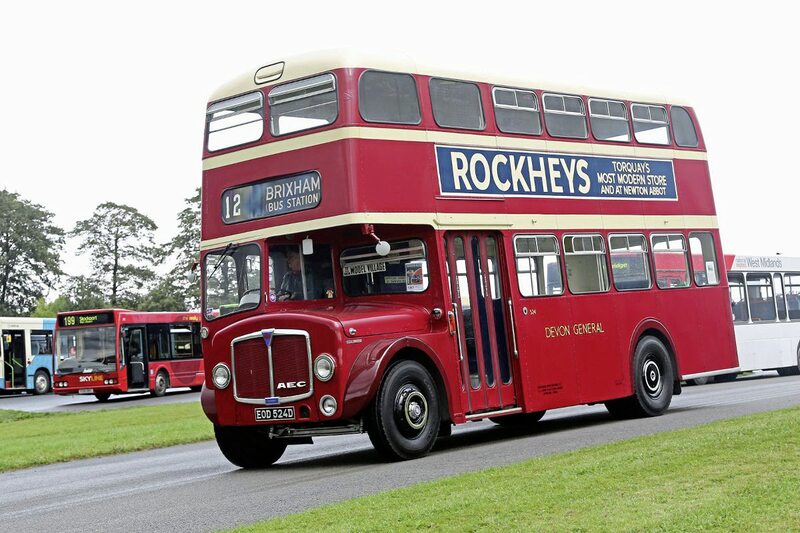 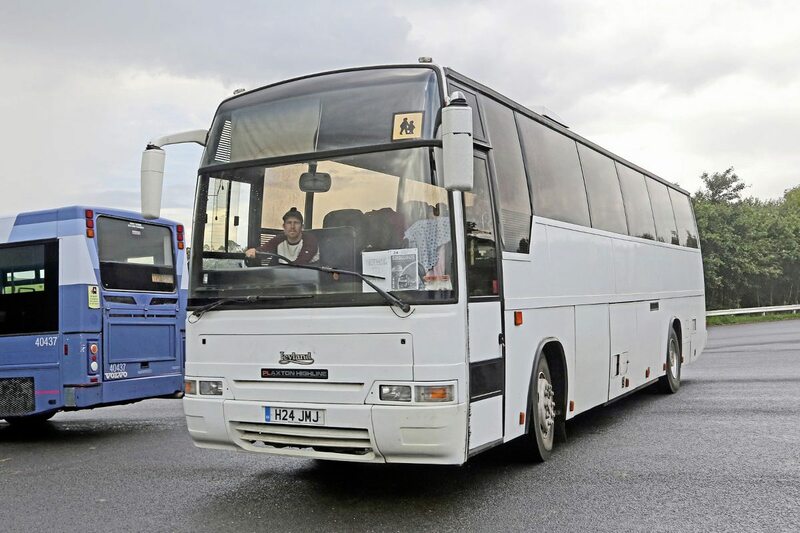 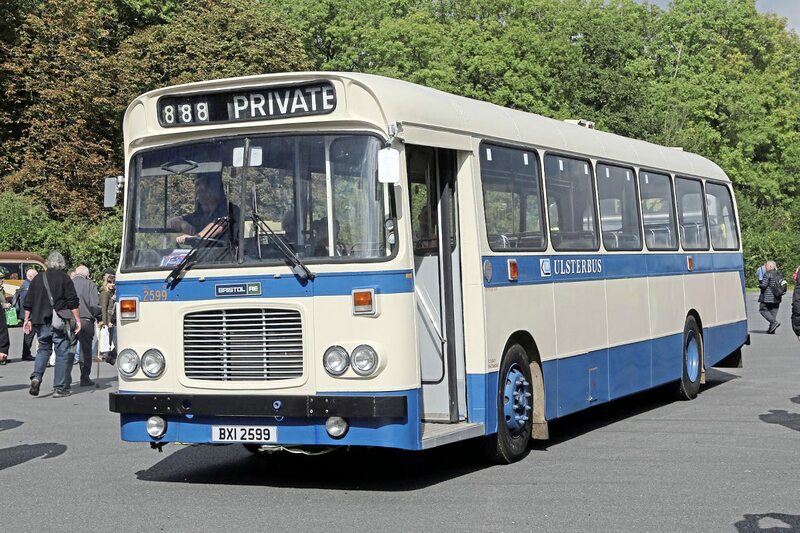 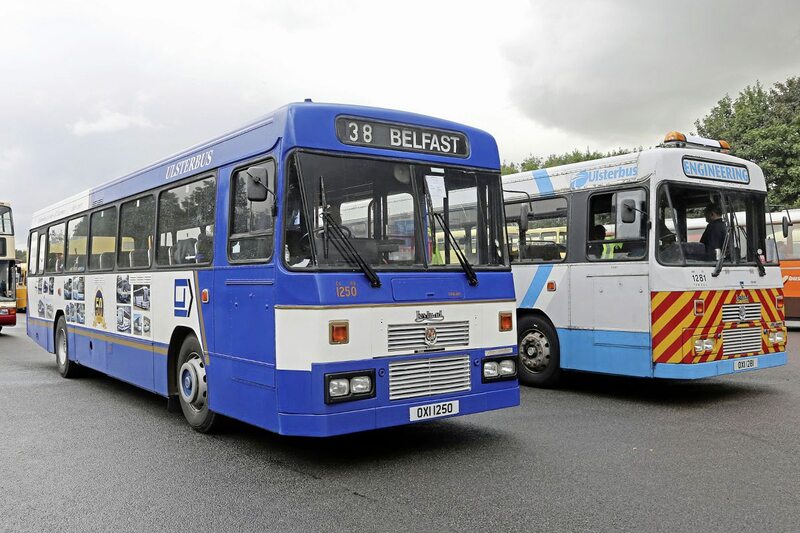 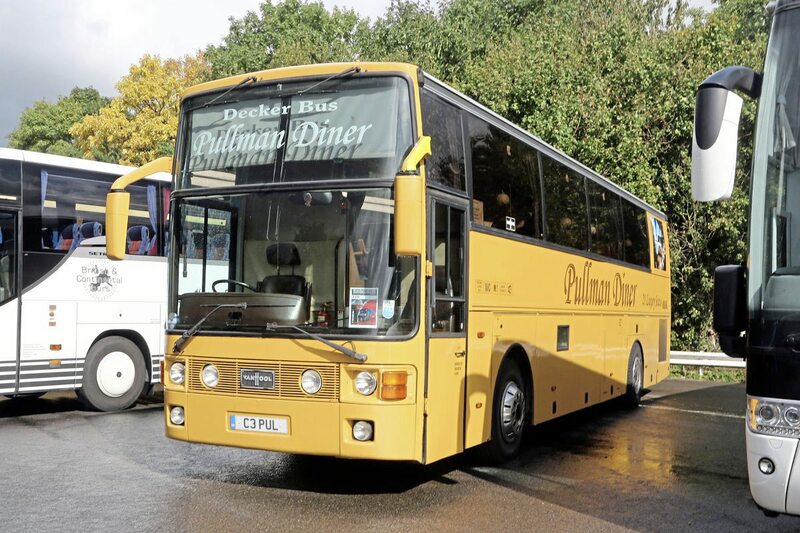 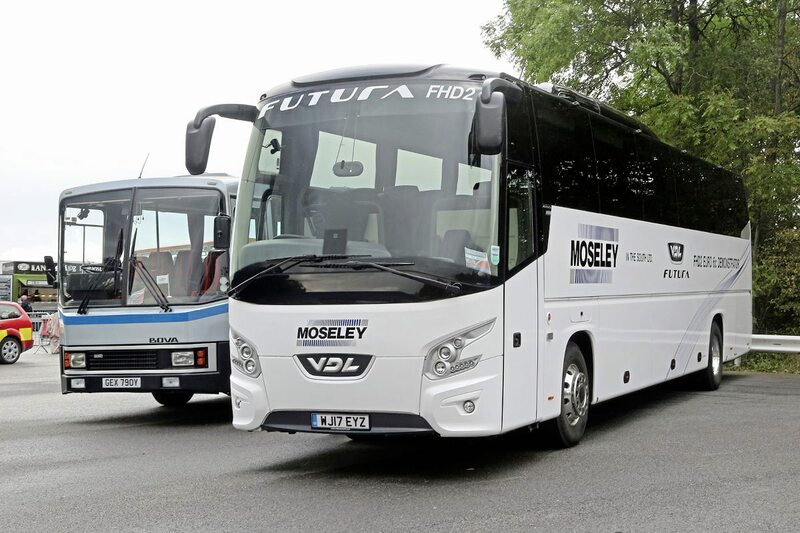 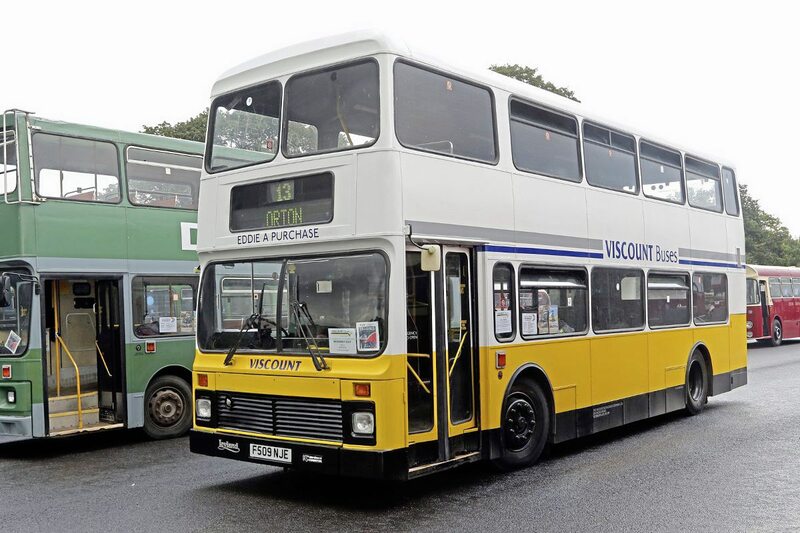 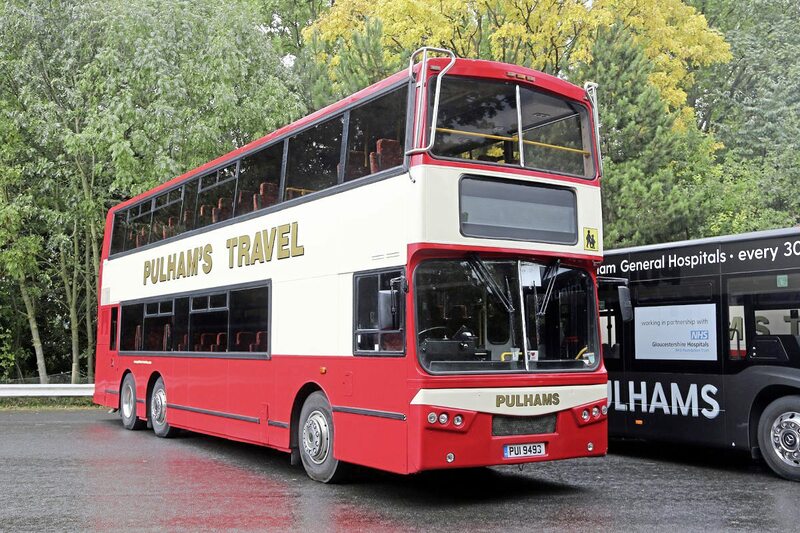 Over 250 vehicles representing 80 years of PCV design gathered on the site’s old course and tarmac lake in a revised layout which improved the segregation of visitor and entrant arrivals. 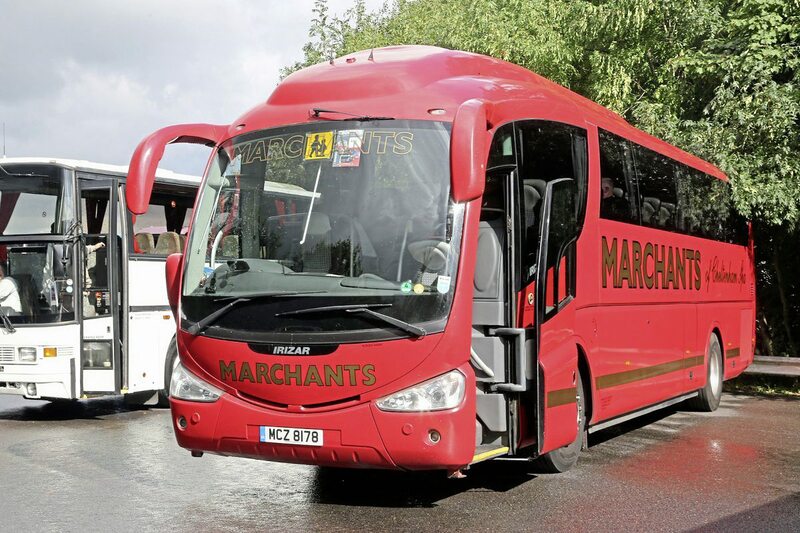 Organiser Martin Isles and his team drew on the experience of 2016 to improve facilities and the event proceeded smoothly with some sunshine in the middle of the day before the heavens opened! 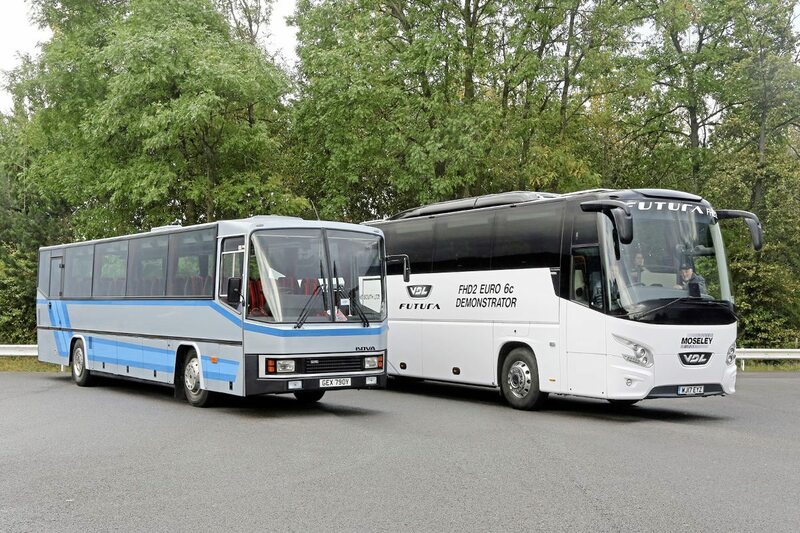 The “front row” theme for 2017 was 110 years of Plaxton coachbuilding. 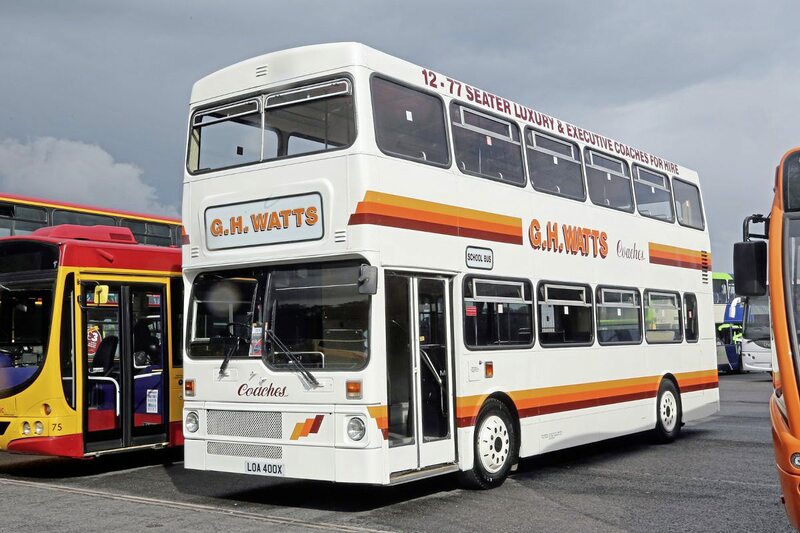 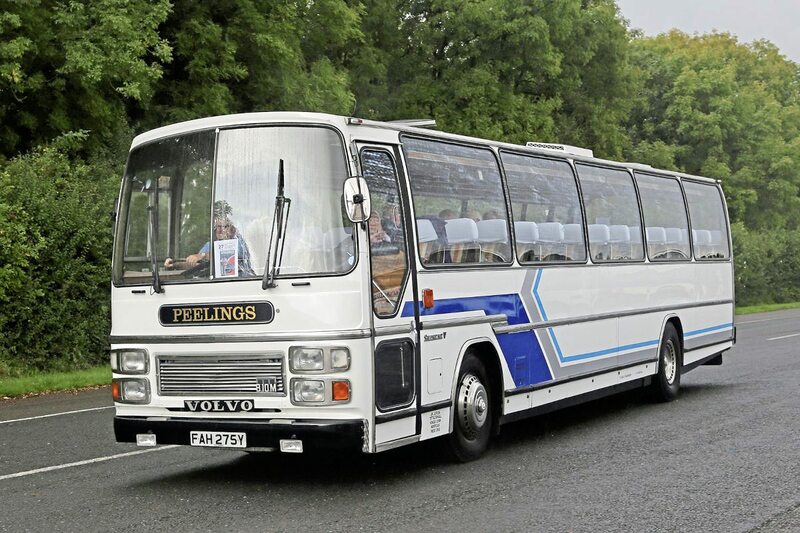 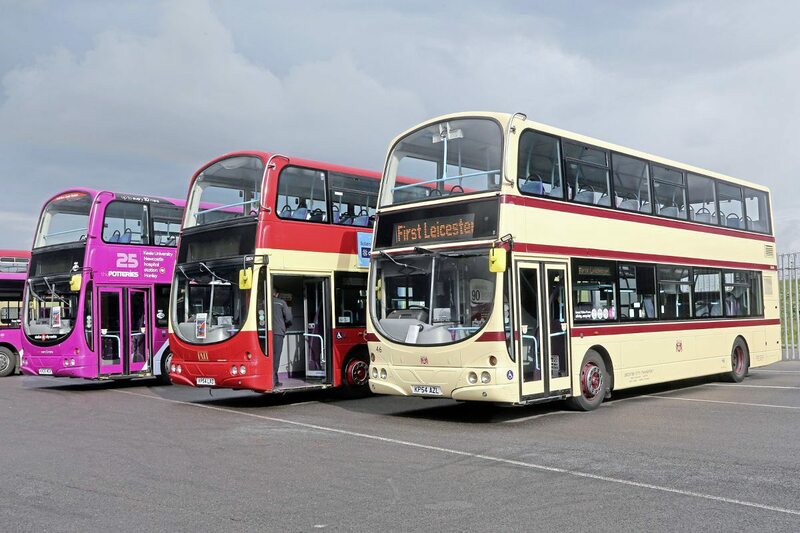 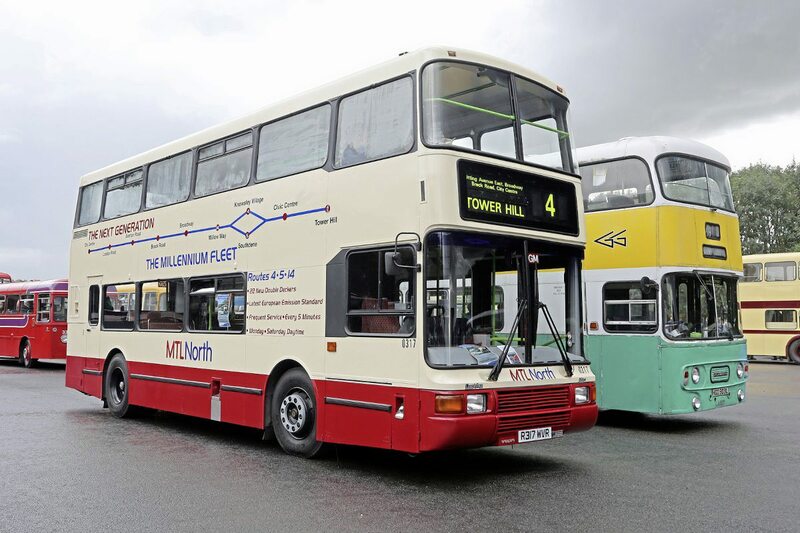 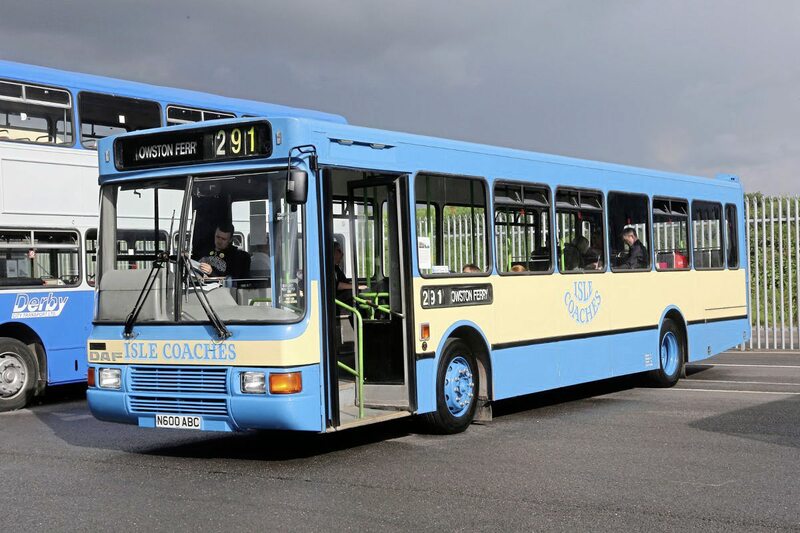 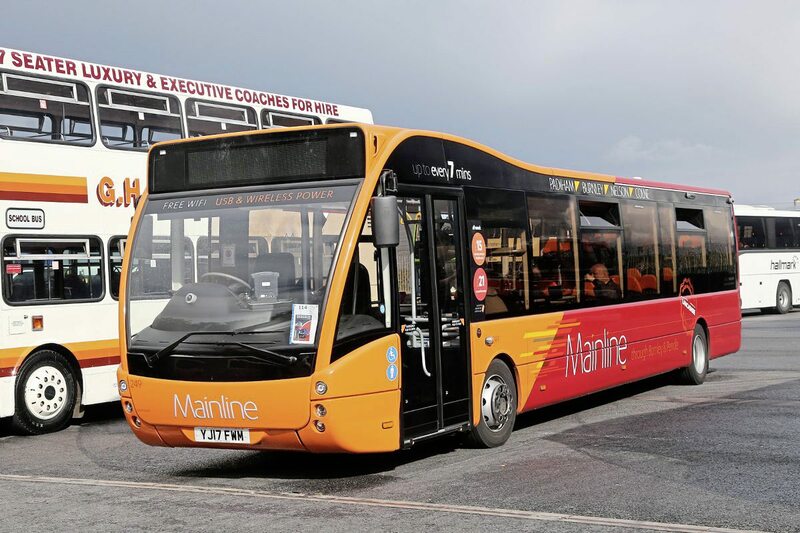 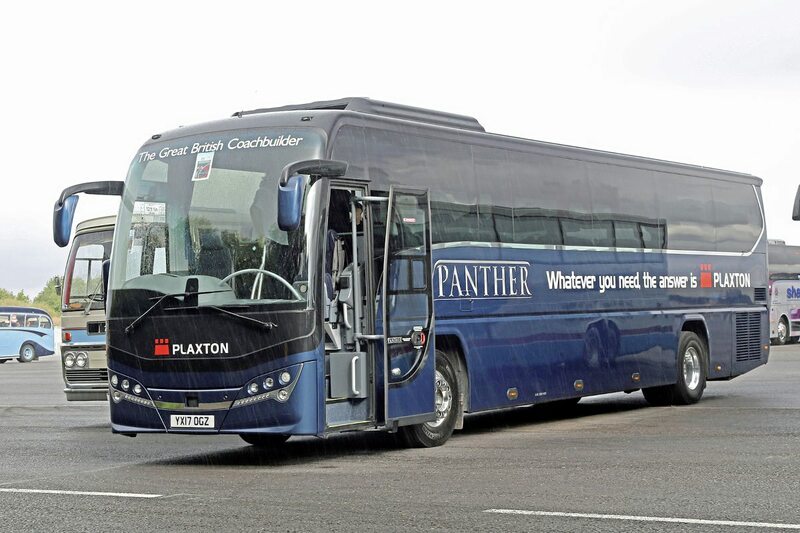 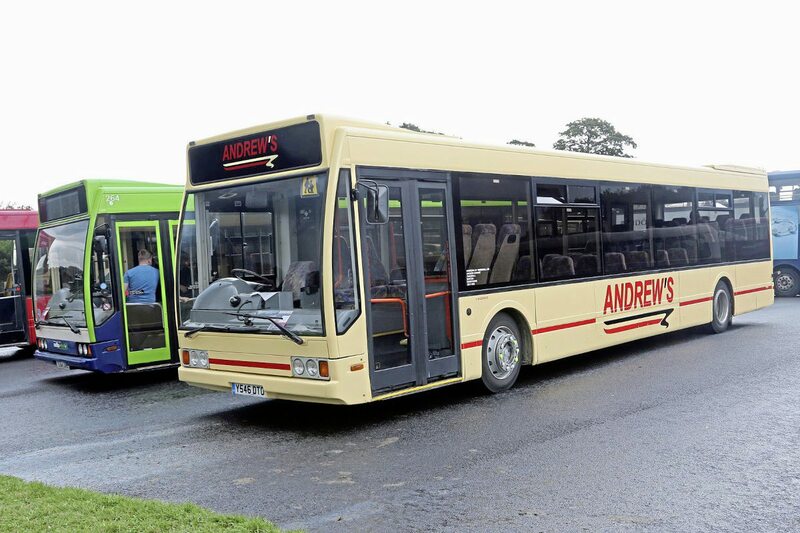 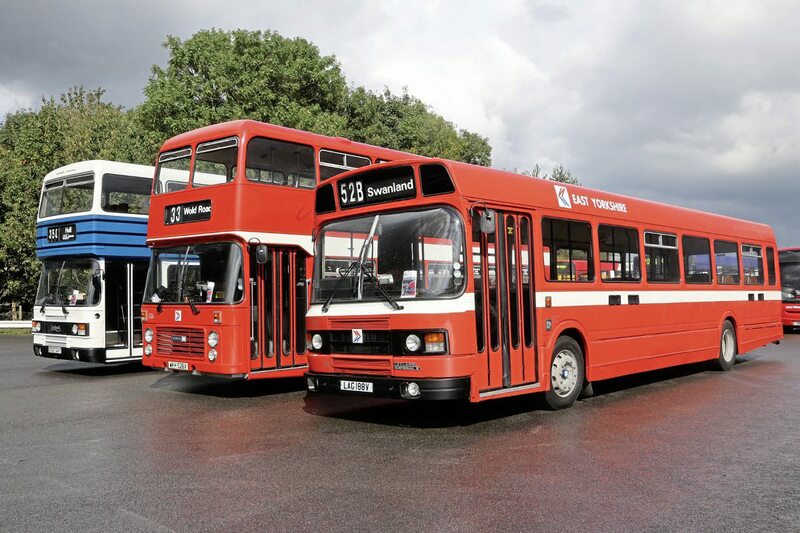 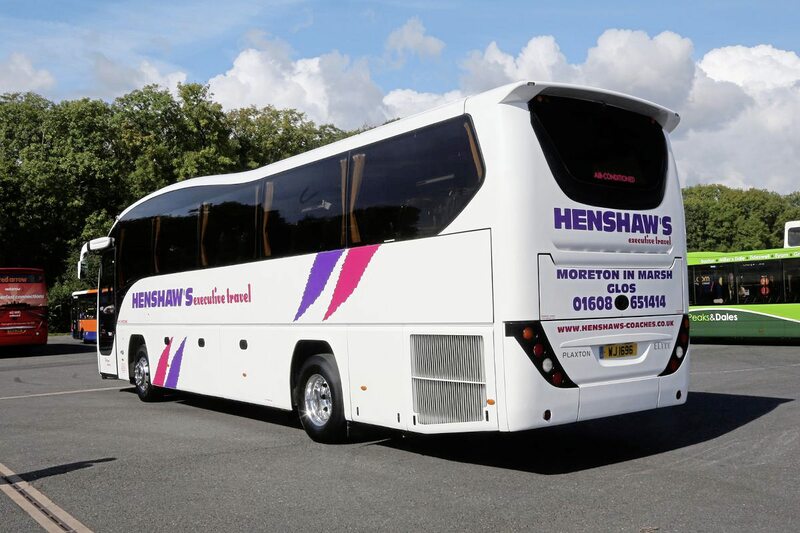 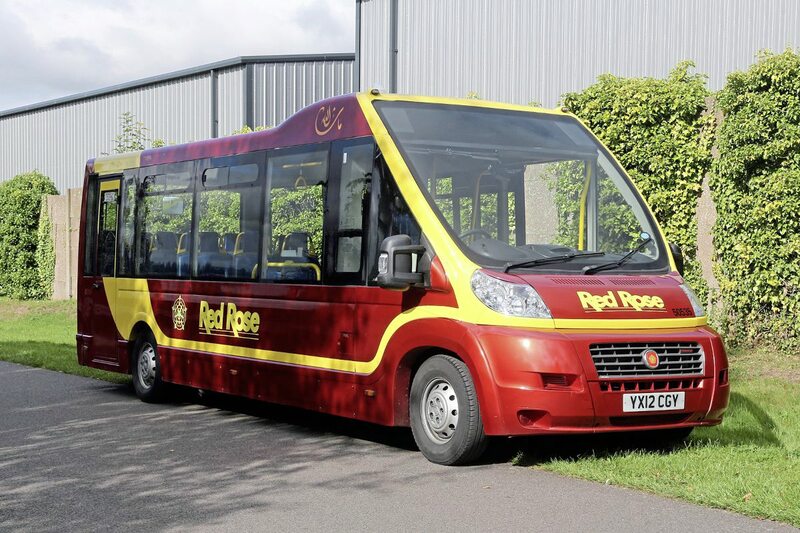 Over 50 examples of products from the company’s Scarborough and Wigan factories were present, ranging from Beestons of Hadleigh’s 1948 Austin to Fowlers Coaches’ 2017 Volvo B8R based Leopard and ADL’s current Panther demonstrator. 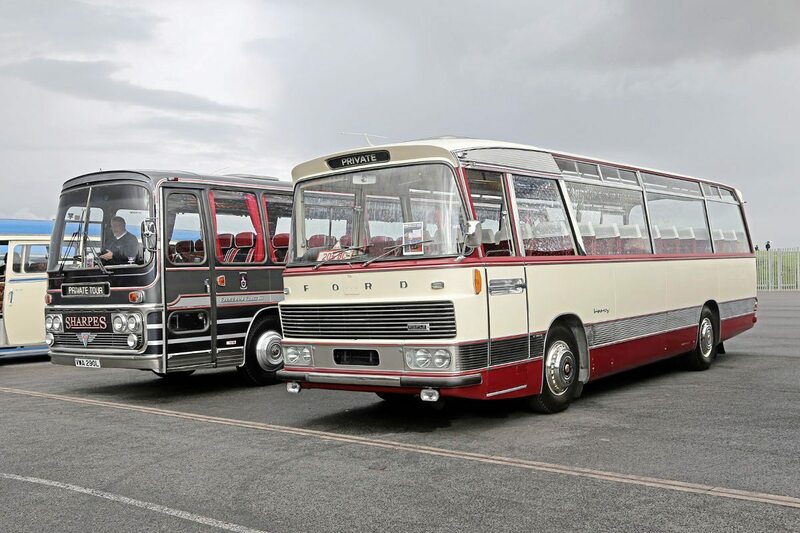 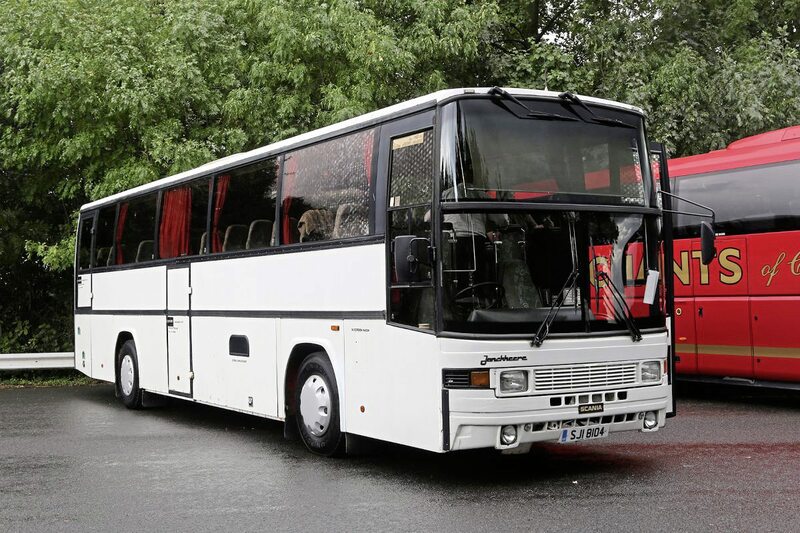 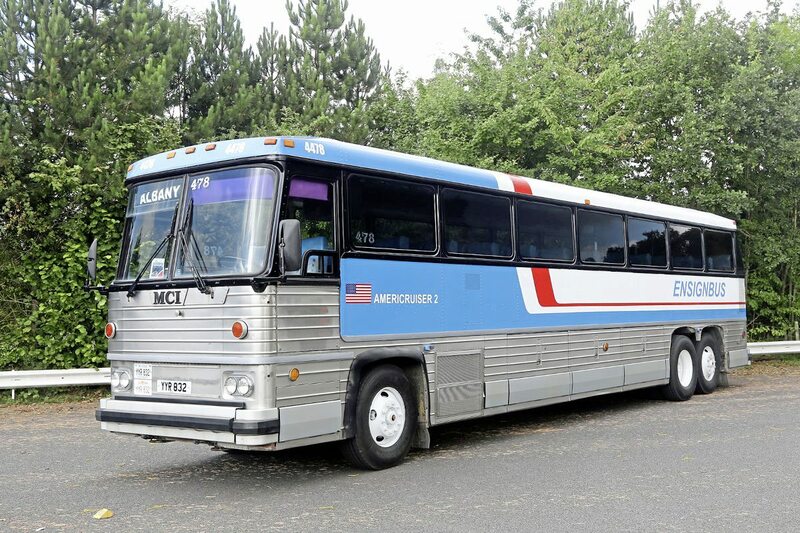 Rare examples of the coachbuilder’s work included a 1989 Scania based Paramount 4000 double-decker and a 1963 Bedford J2 minicoach. 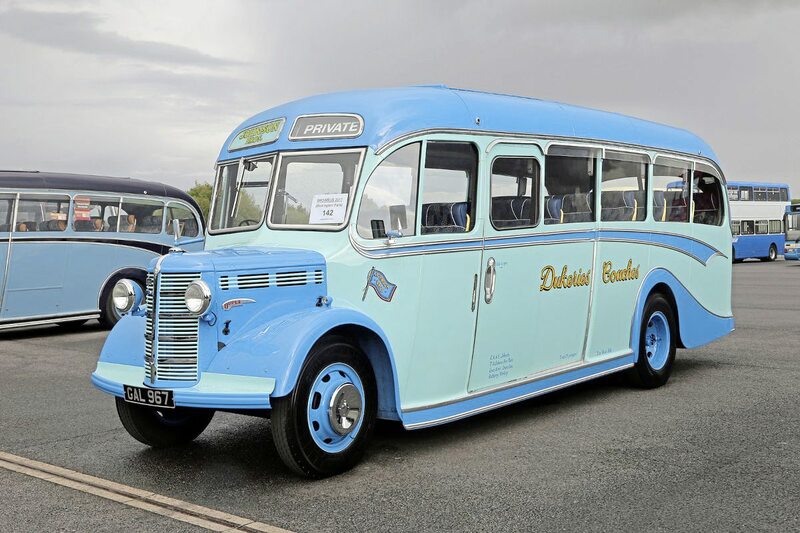 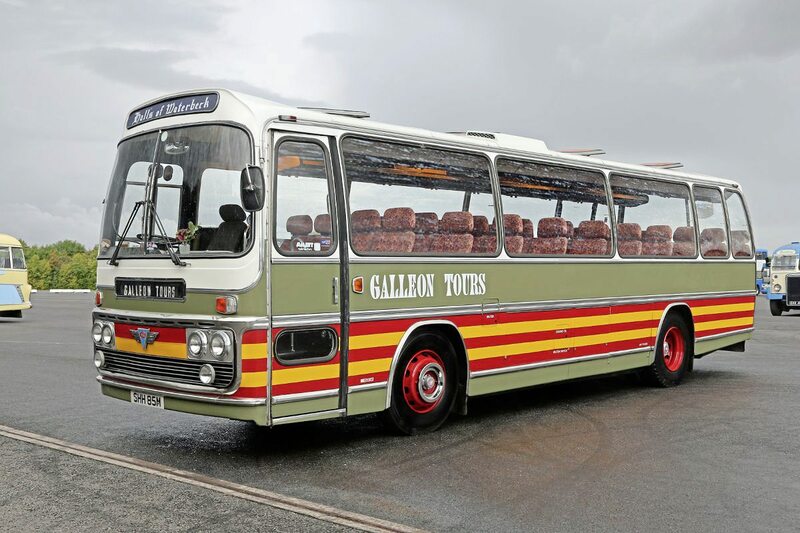 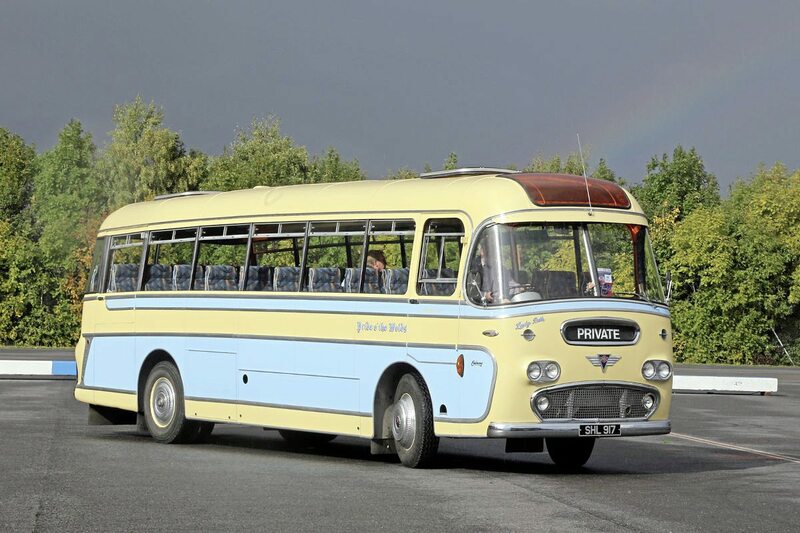 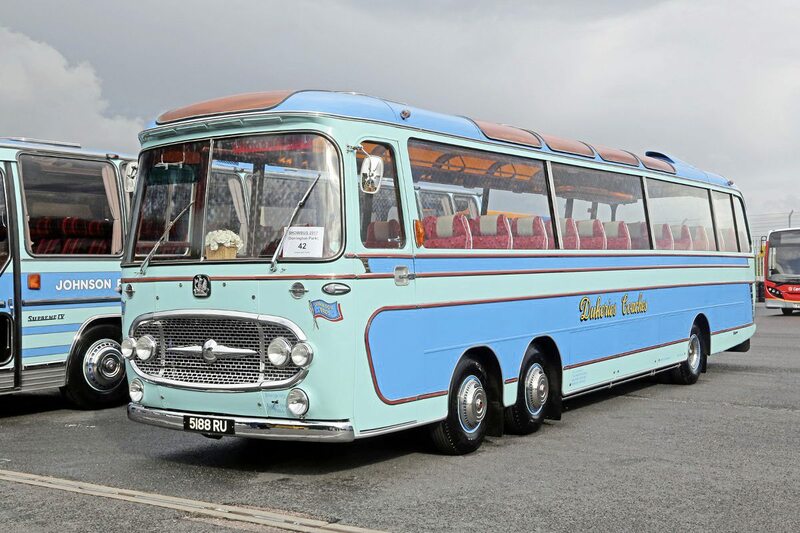 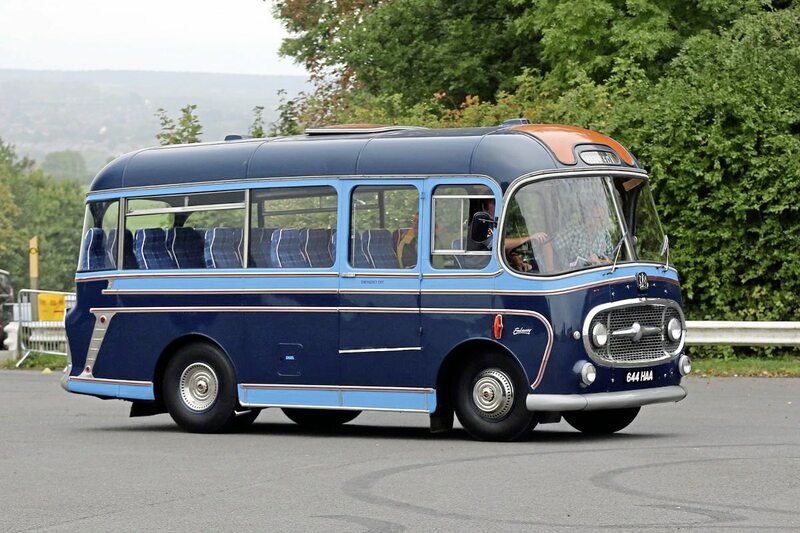 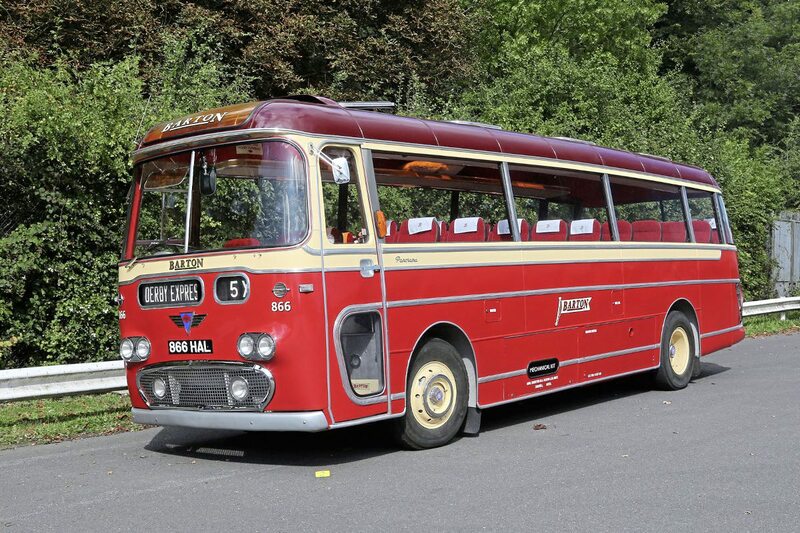 Fittingly, the premier restored vehicle accolade, the Shillibeer Award was given to Johnson Brothers’ 1963 Plaxton bodied Bedford VAL14. 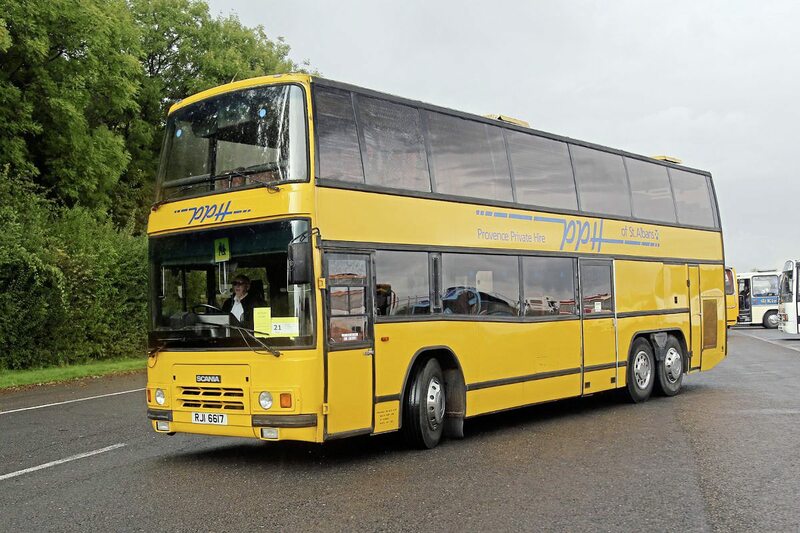 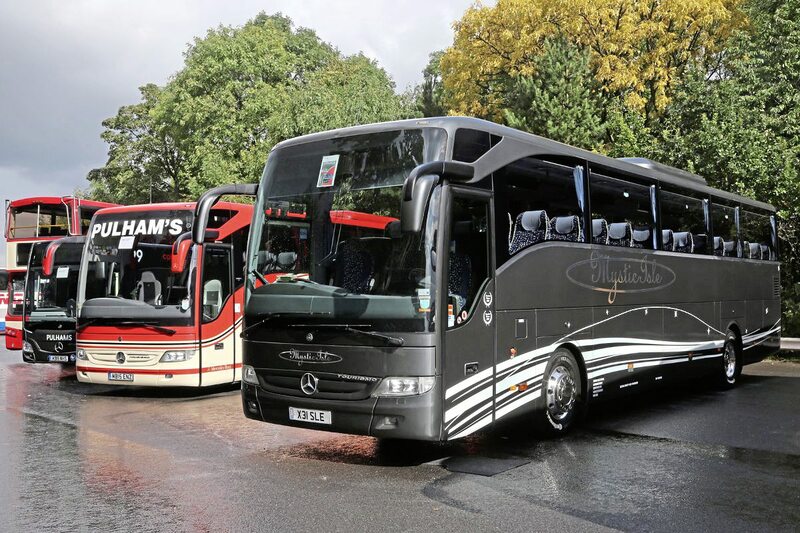 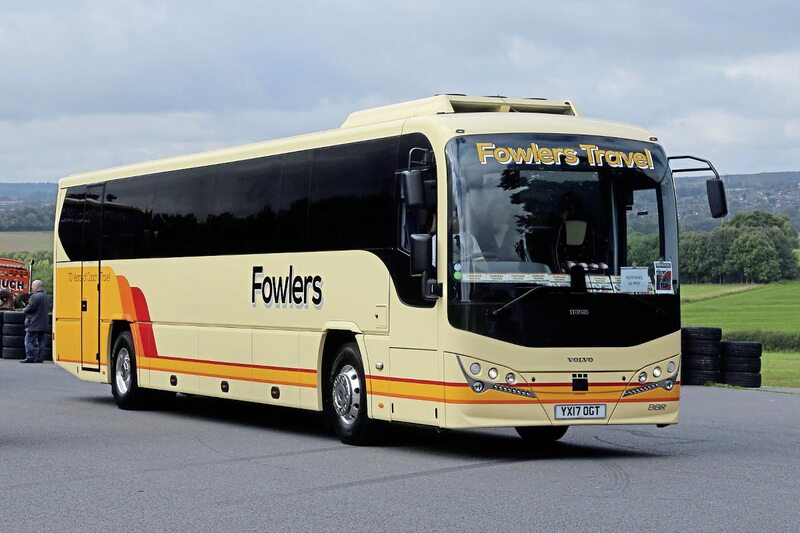 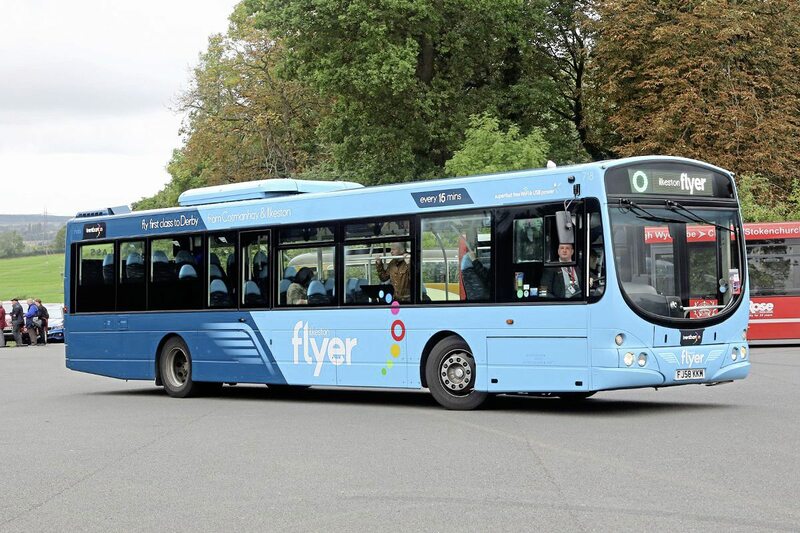 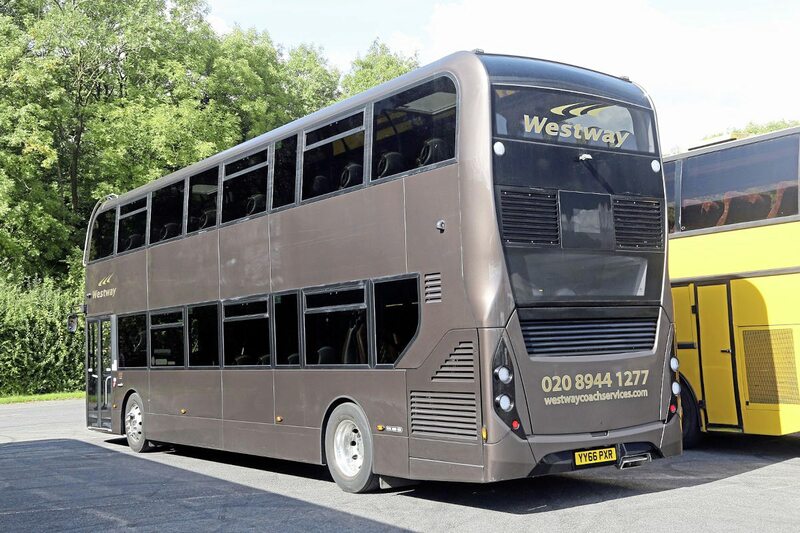 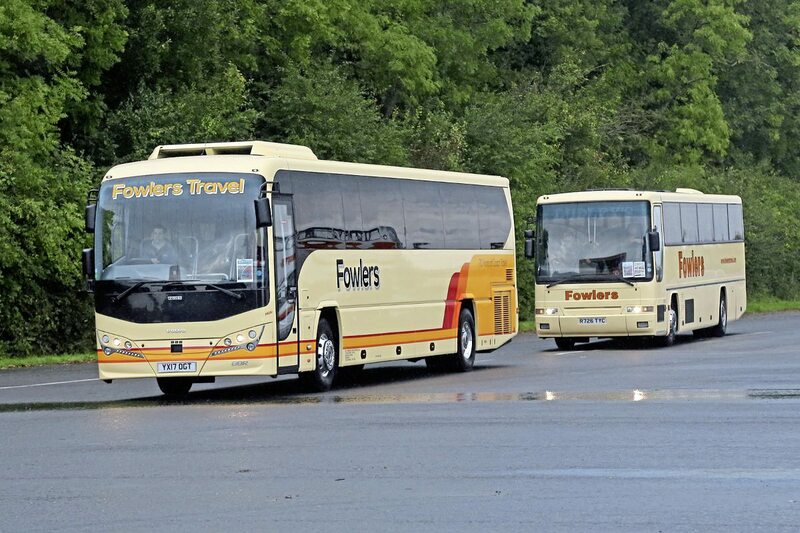 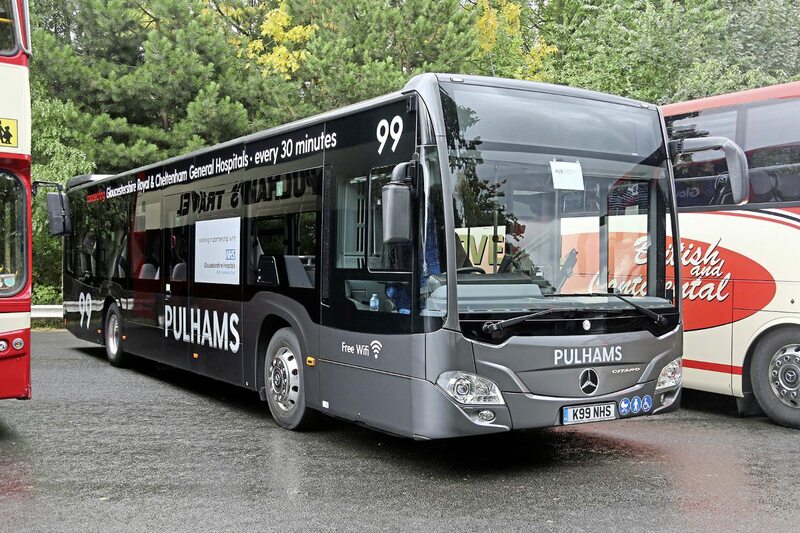 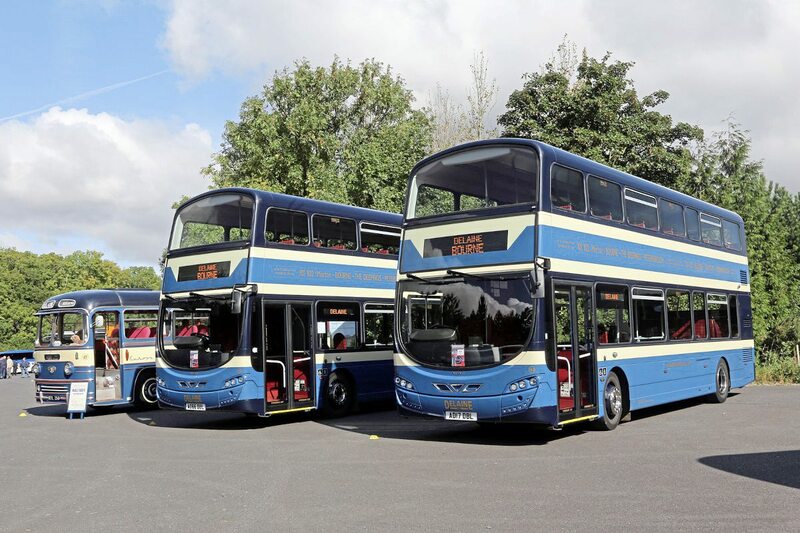 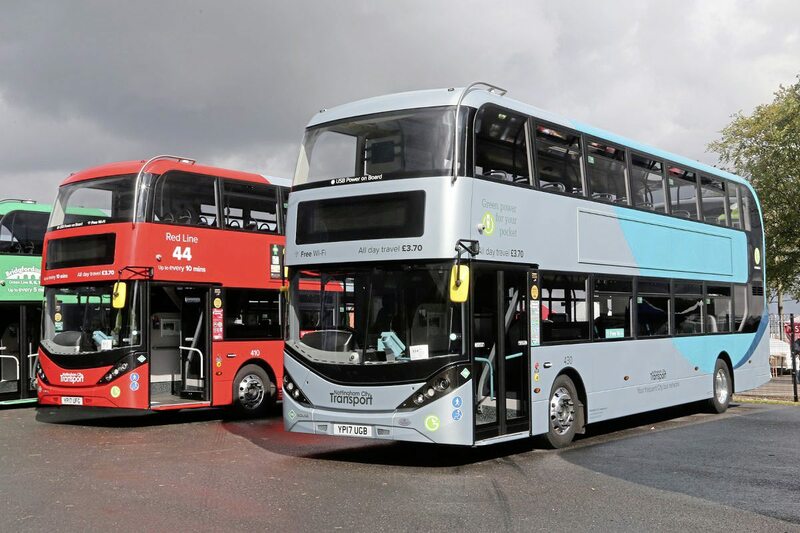 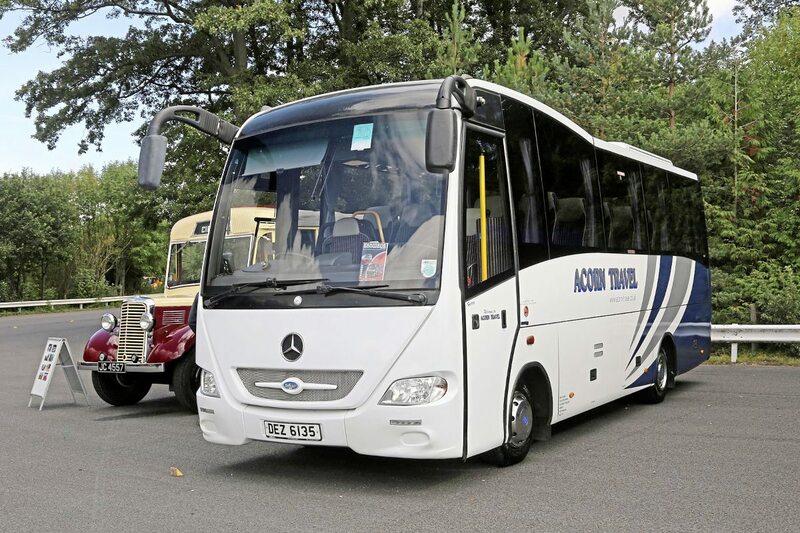 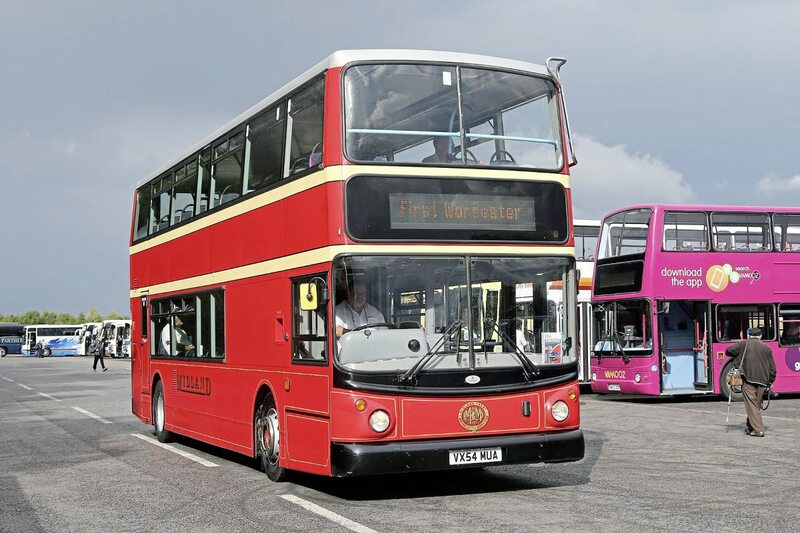 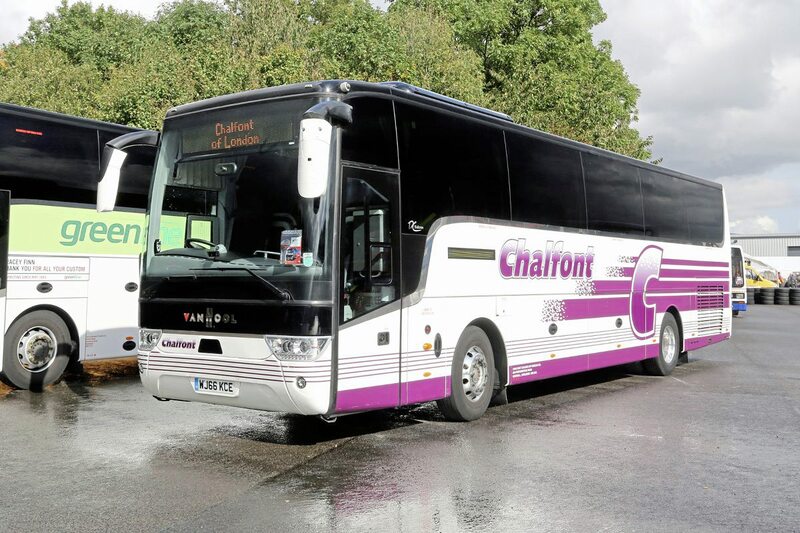 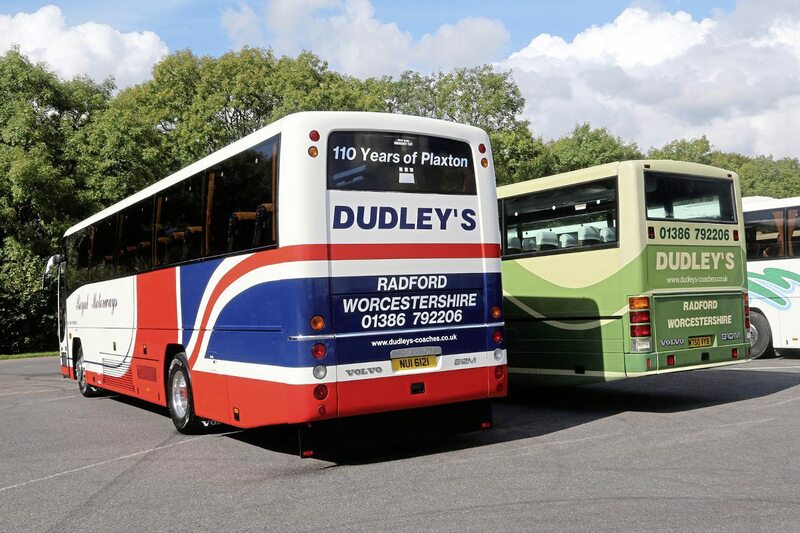 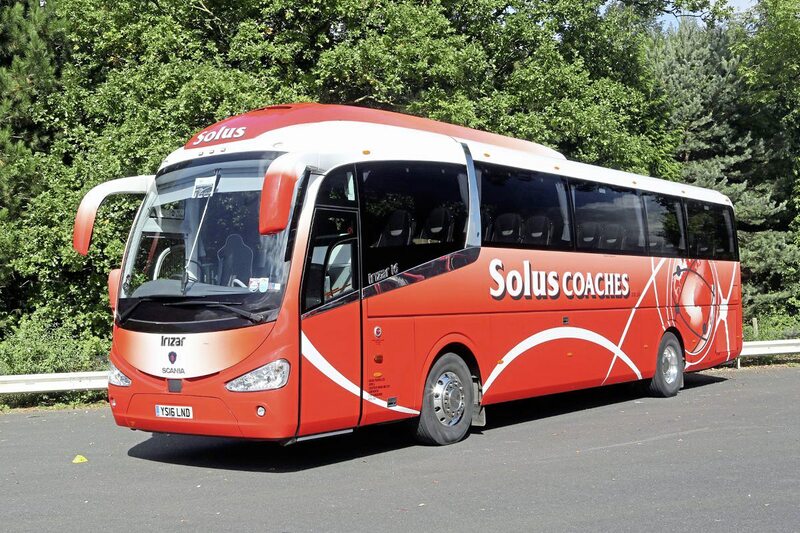 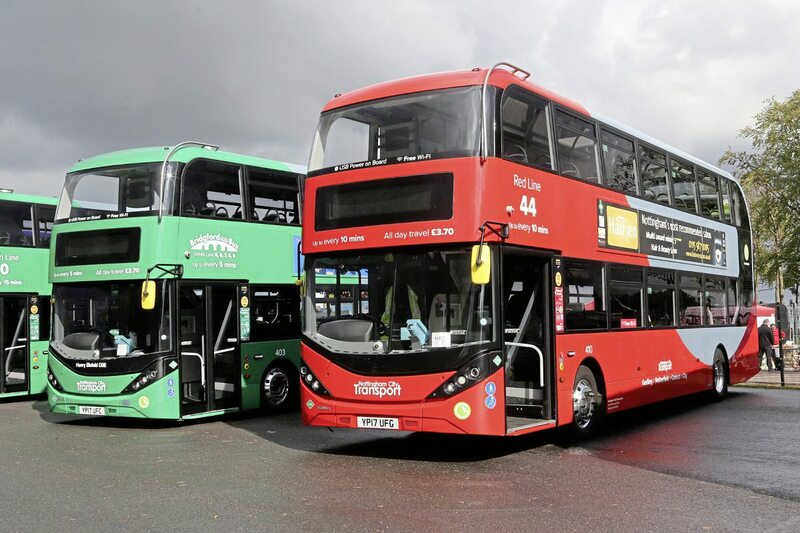 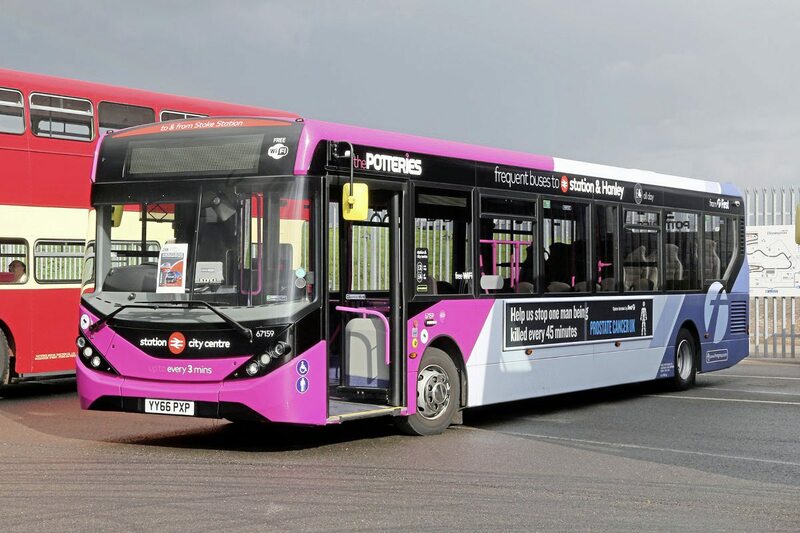 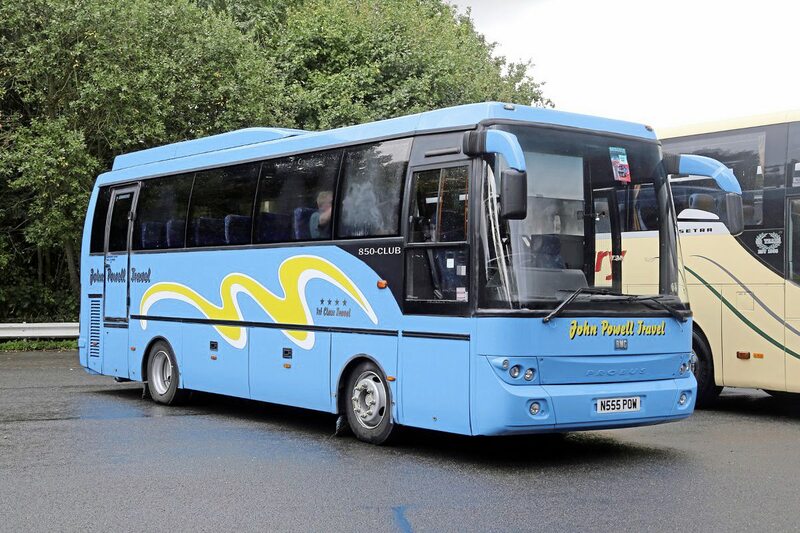 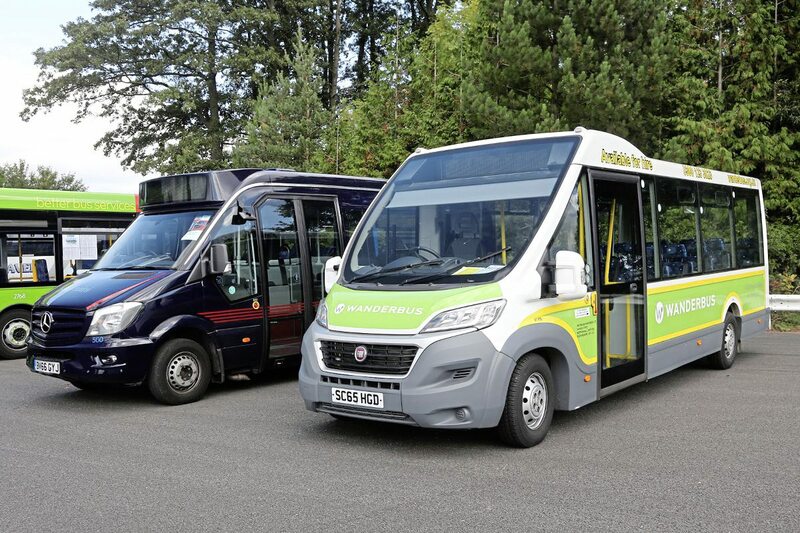 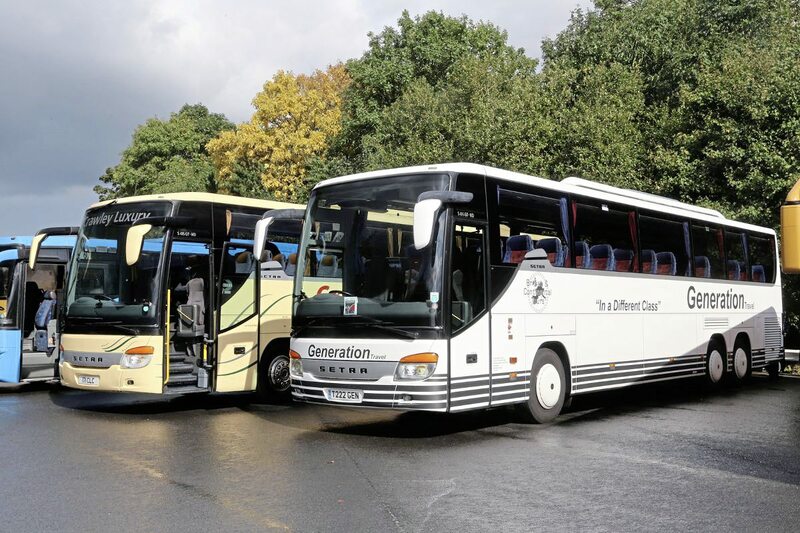 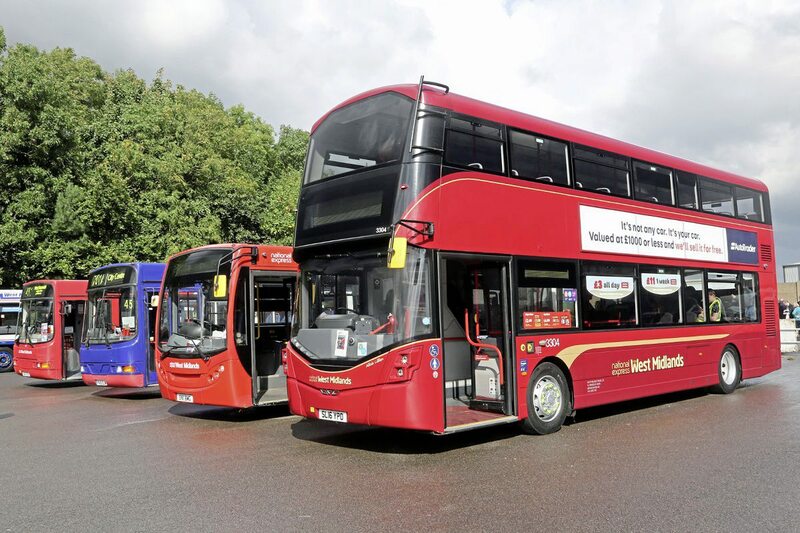 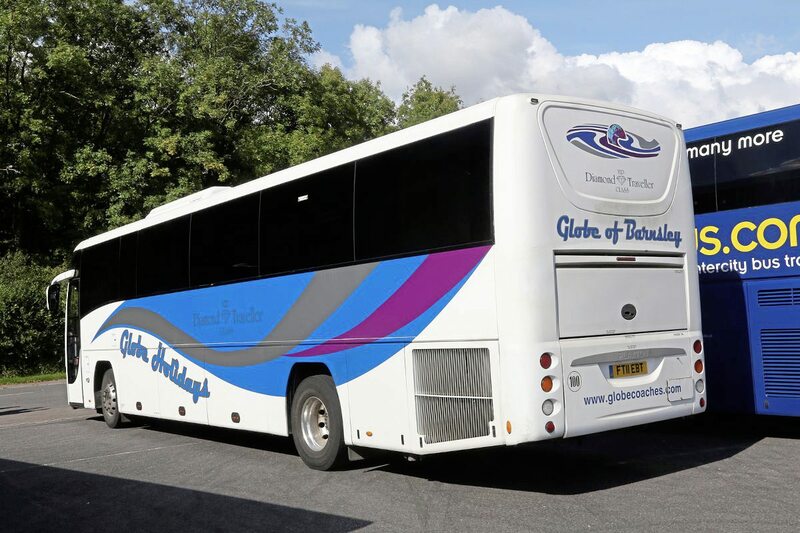 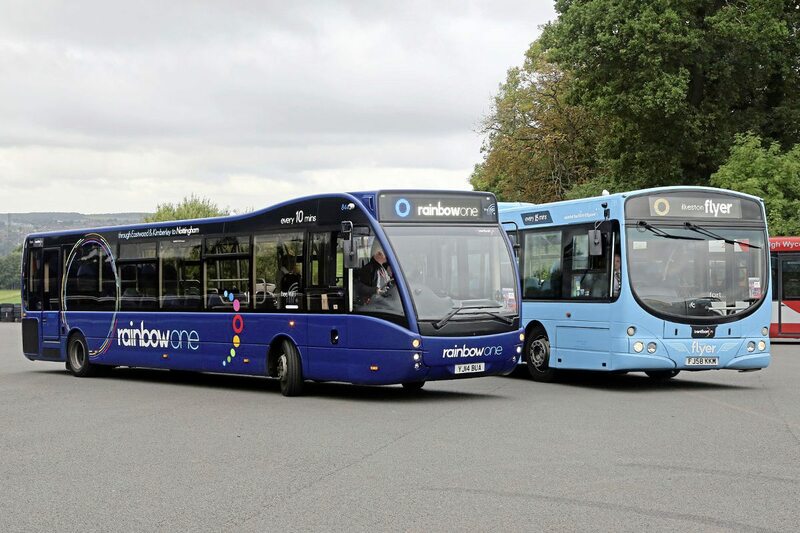 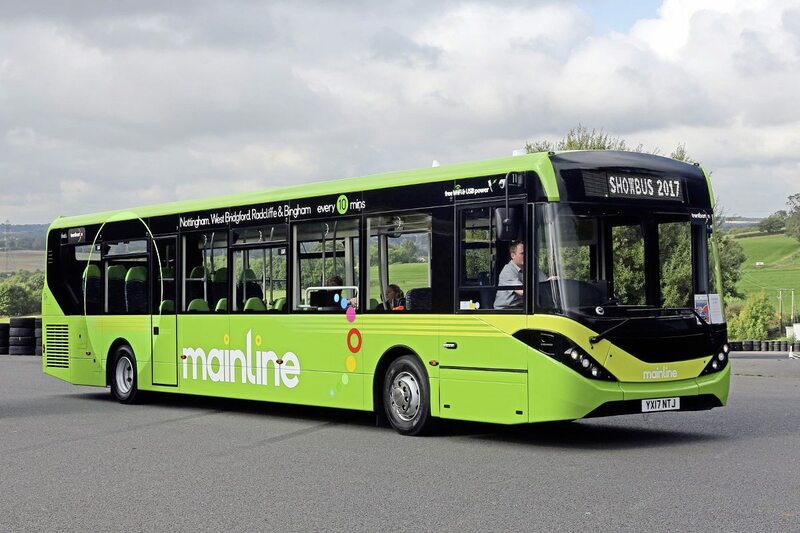 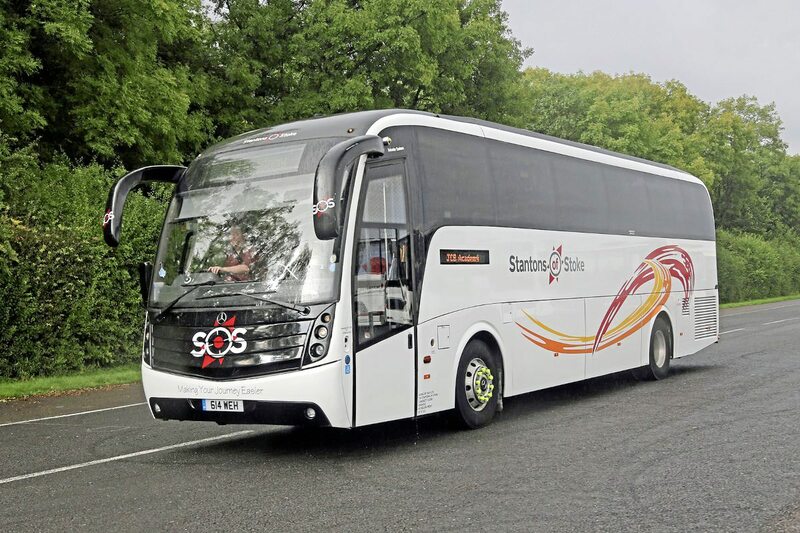 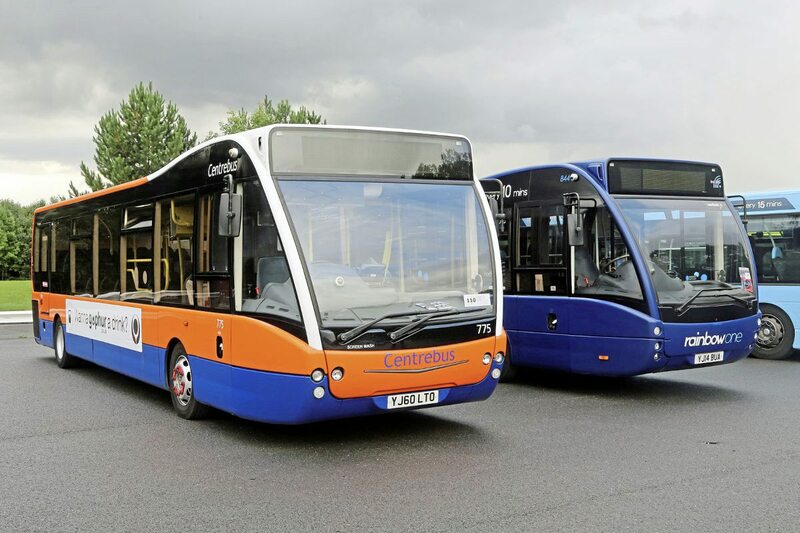 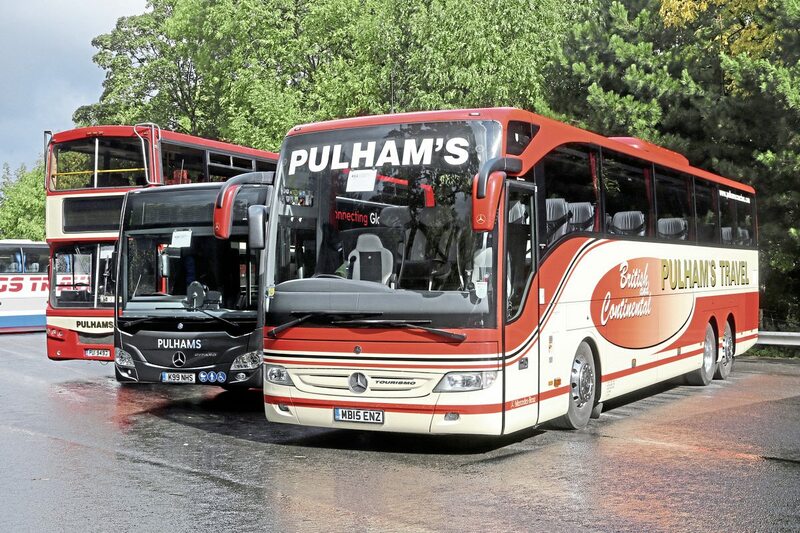 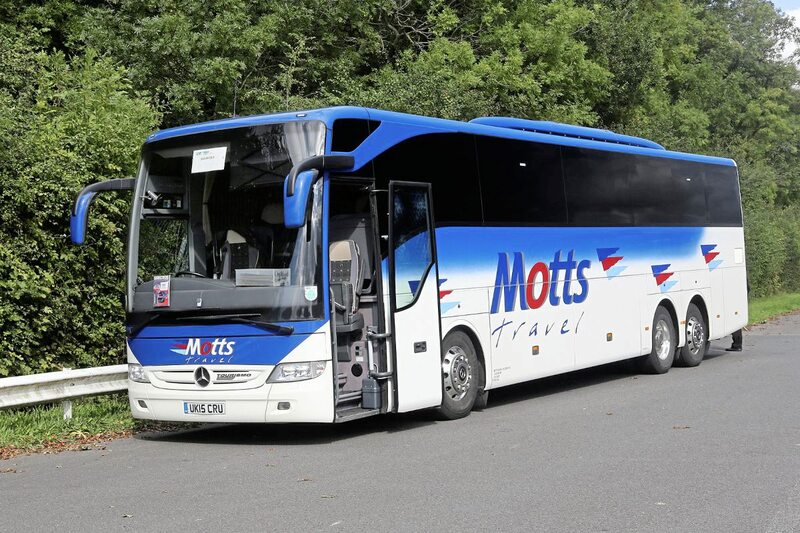 There is always keen competition for the Premier Operator Award and Pulhams Coaches of Bourton on the Water was successful in 2017 with a display consisting of two recent EvoBus products, a 2015 Tourismo and a 2017 Citaro alongside a refurbished high capacity 1992 Leyland Olympian. 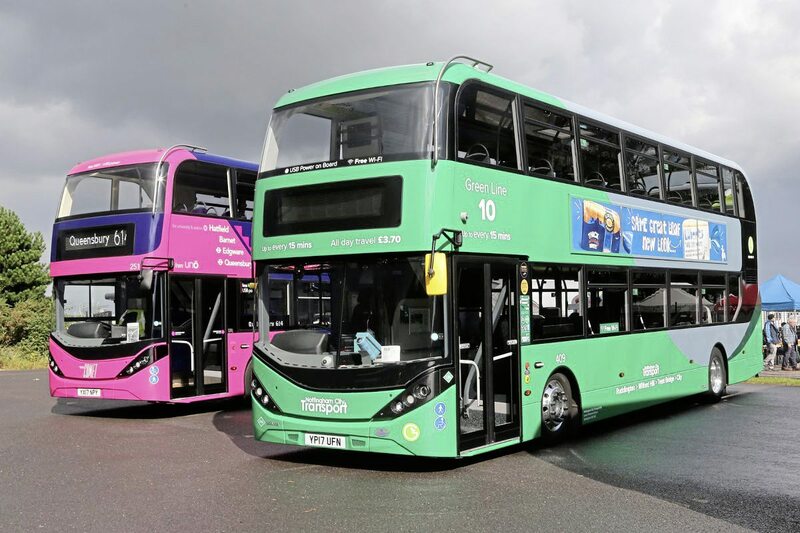 The top modern vehicle was the ADL Enviro 400 City from the Uno fleet in the Comet livery launched two days before Showbus. 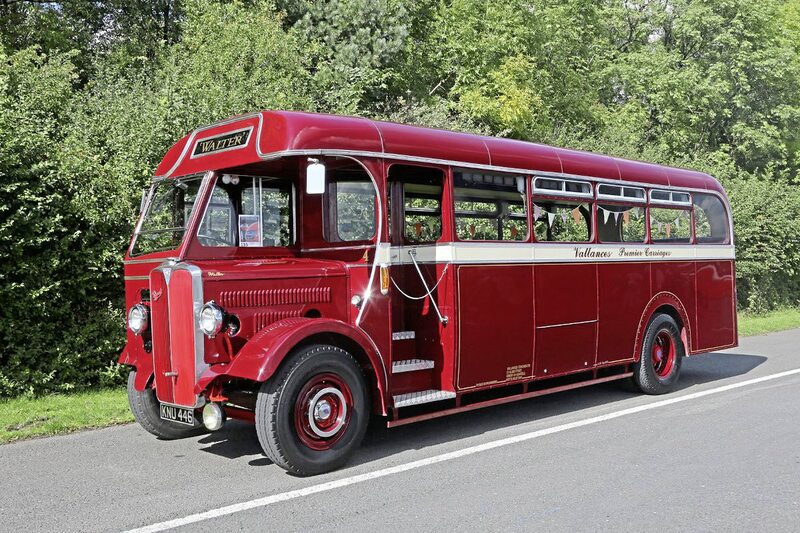 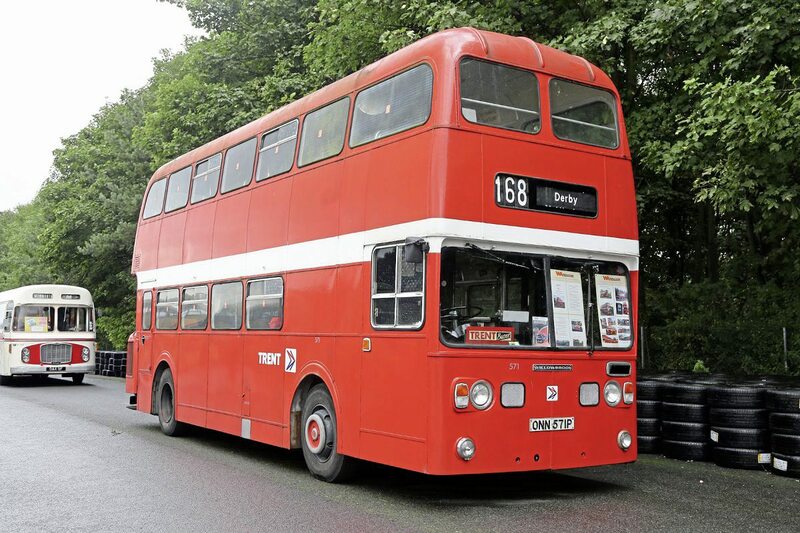 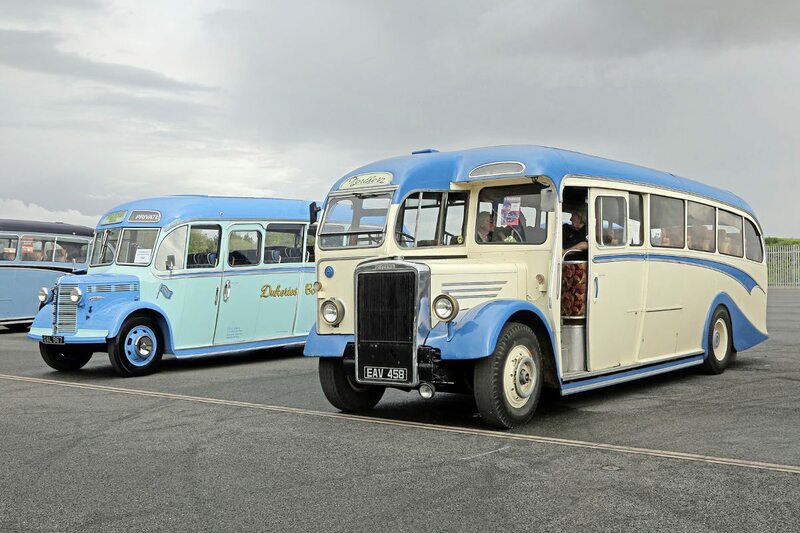 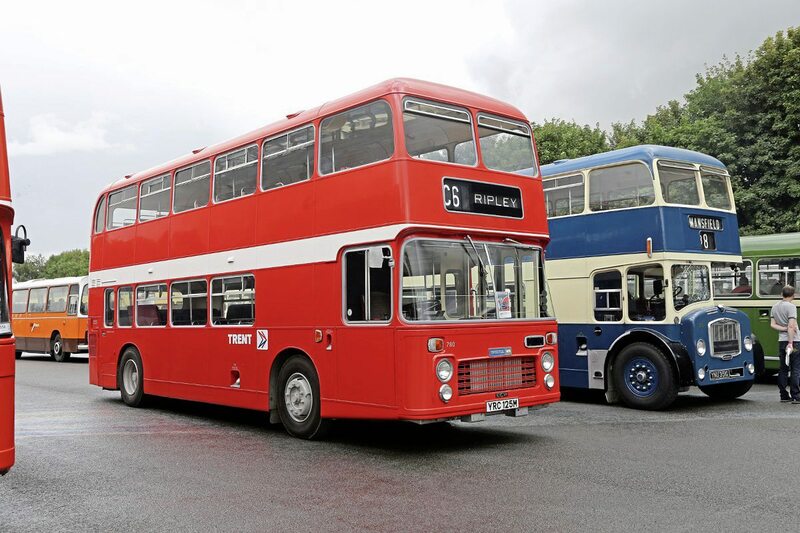 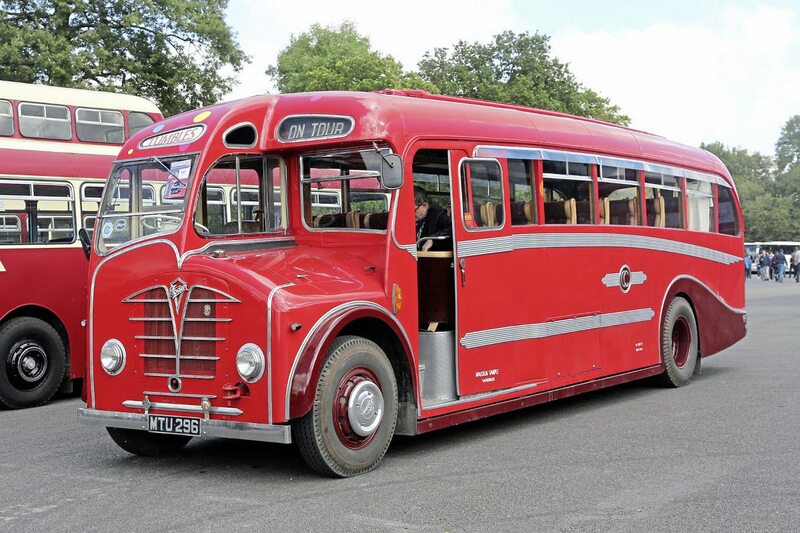 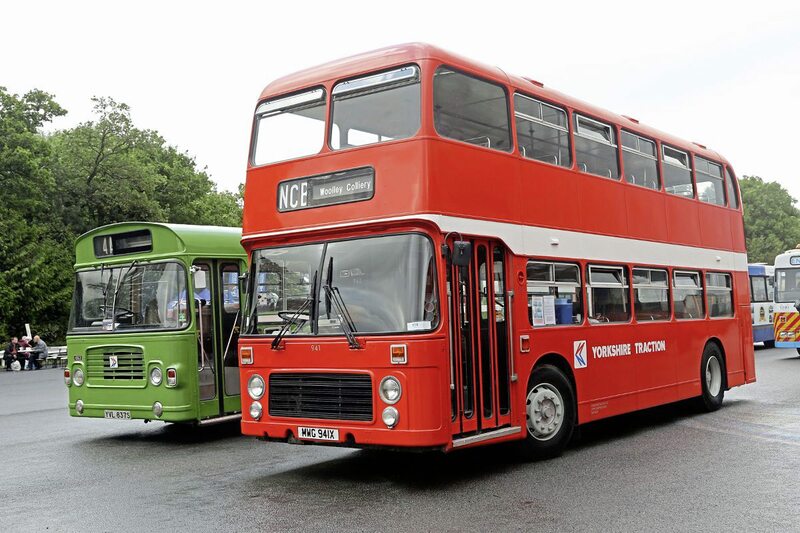 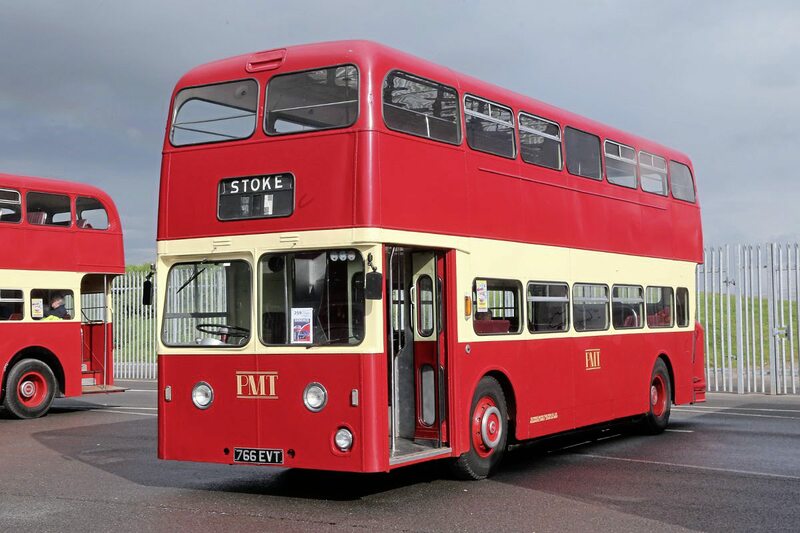 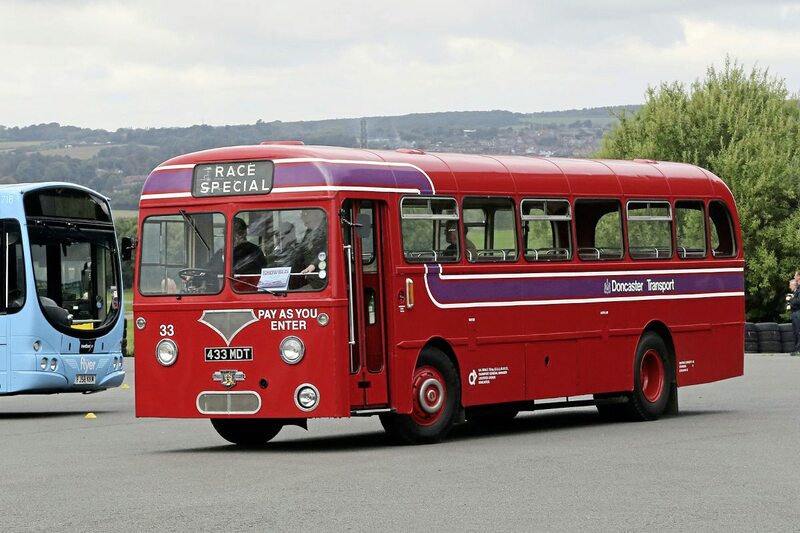 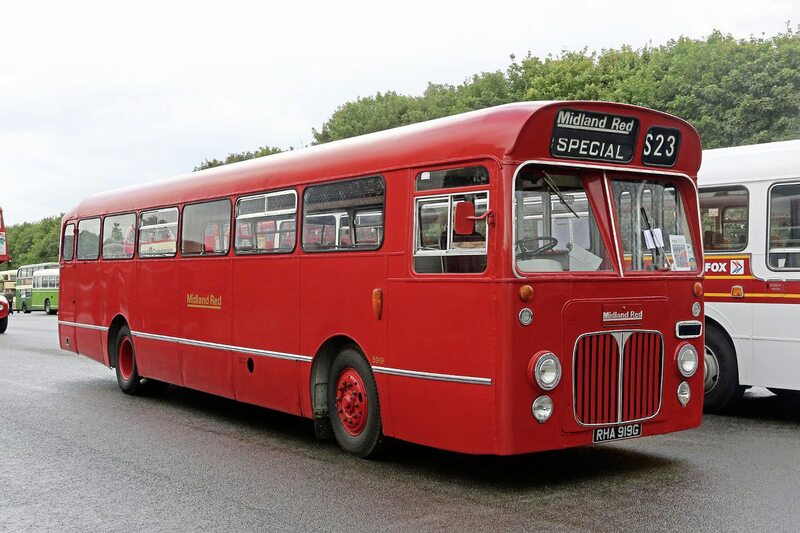 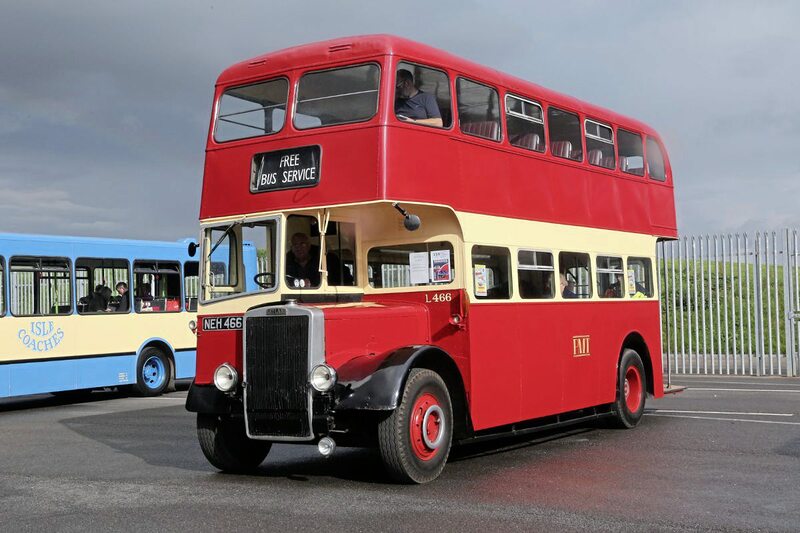 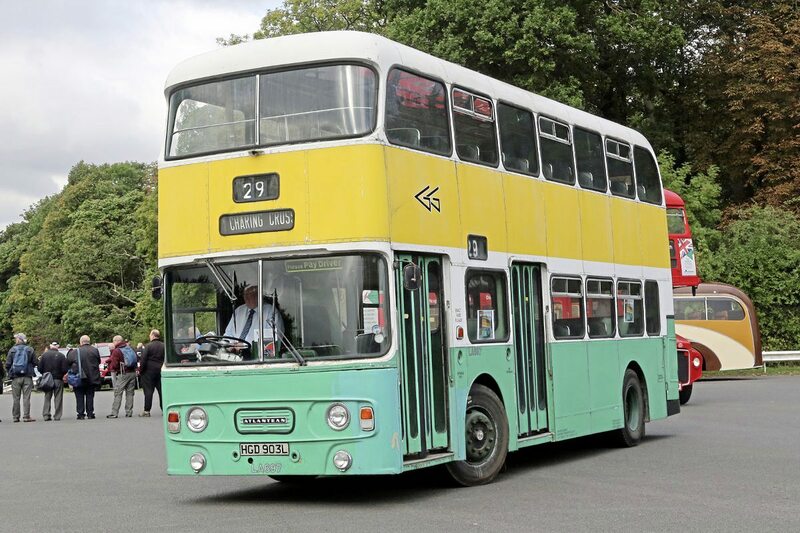 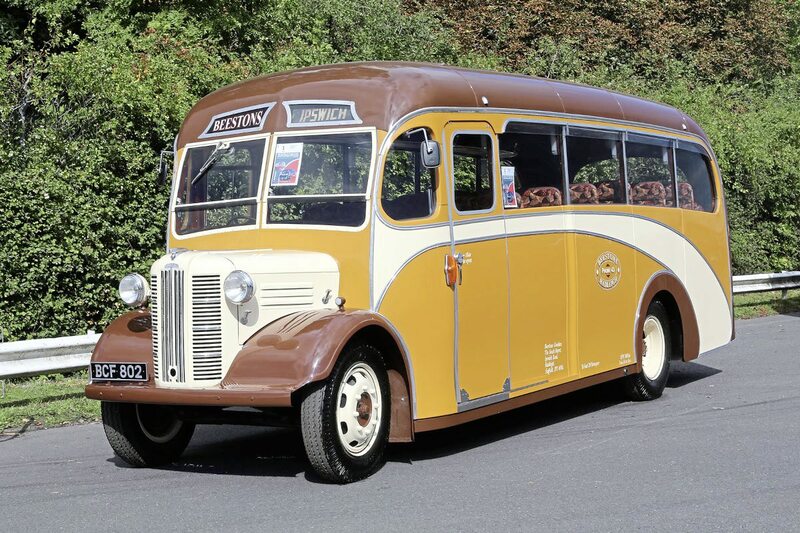 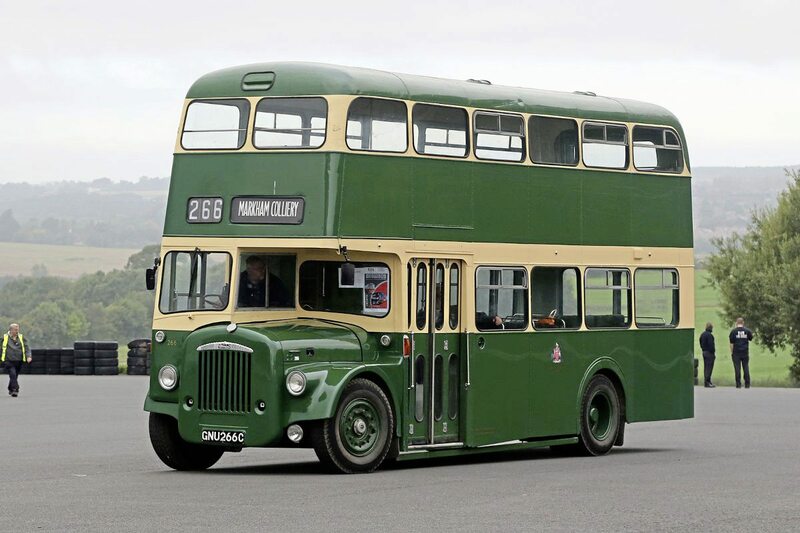 Top heritage awards went to the 1937 Llandudno Commer (single deck) and 1951 West Bromwich Daimler CVG6 (double deck). 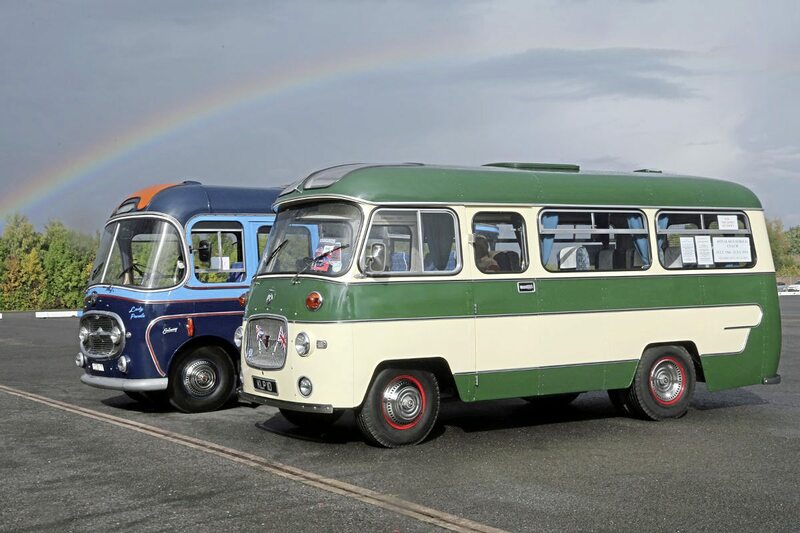 It should be noted that inclusion in the judging is optional for entrants and also requires registration on the day at Rally Control, something to remember for 2018. 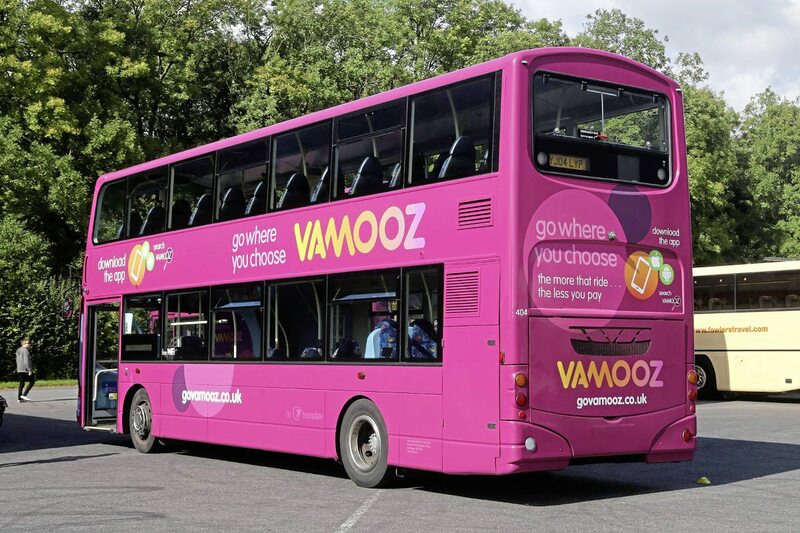 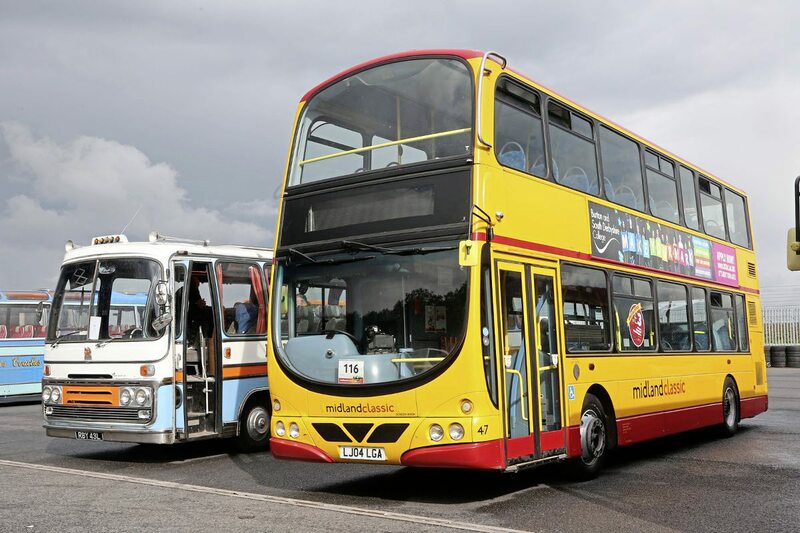 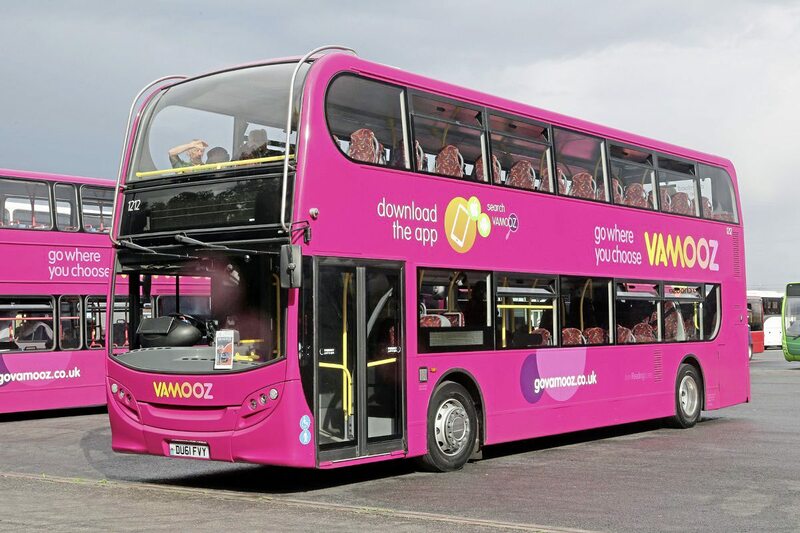 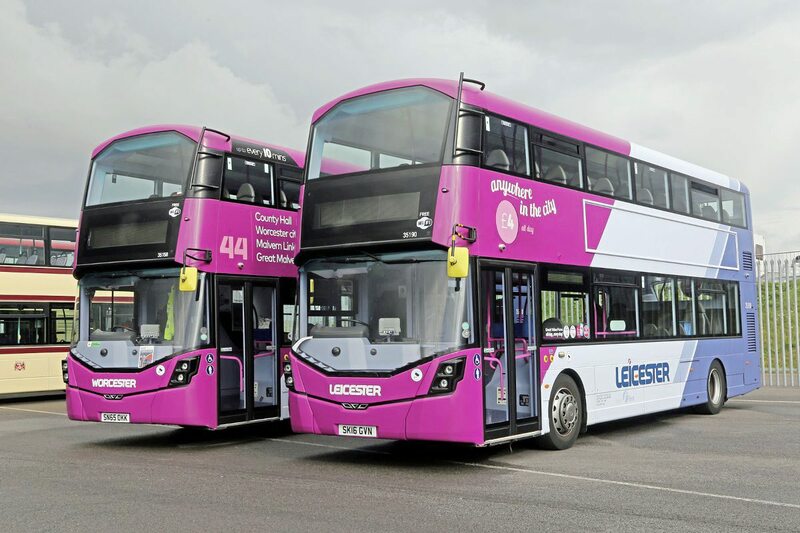 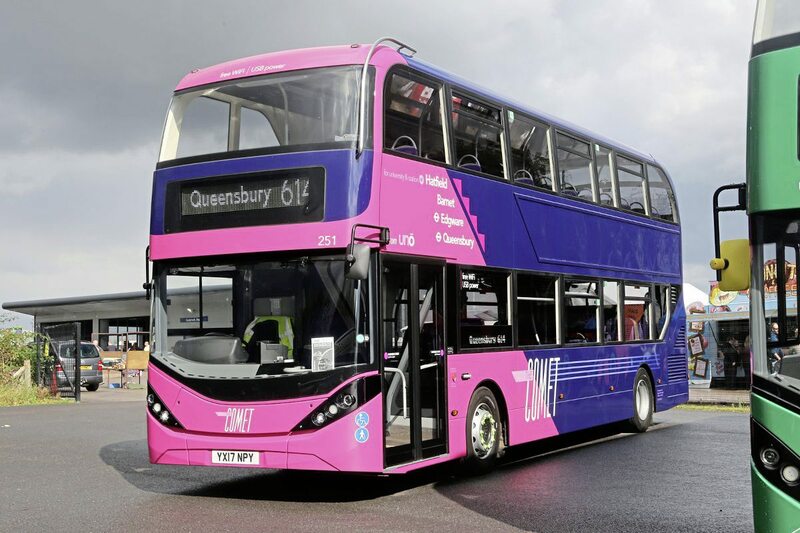 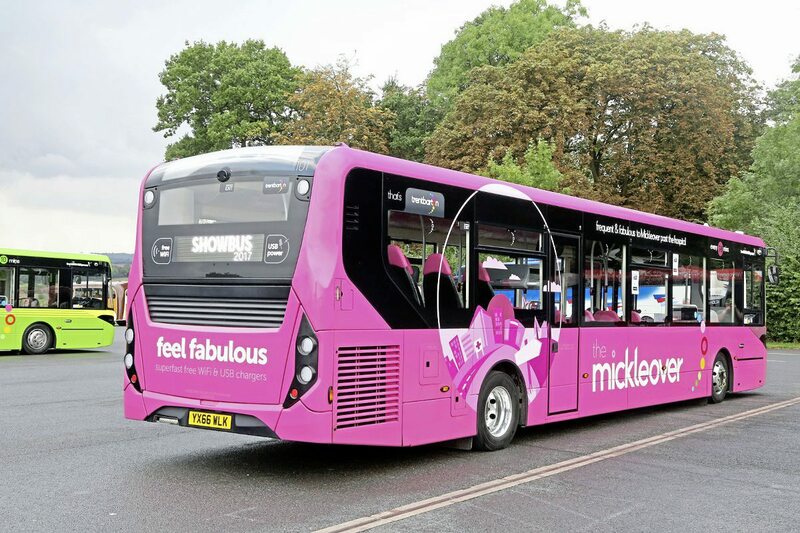 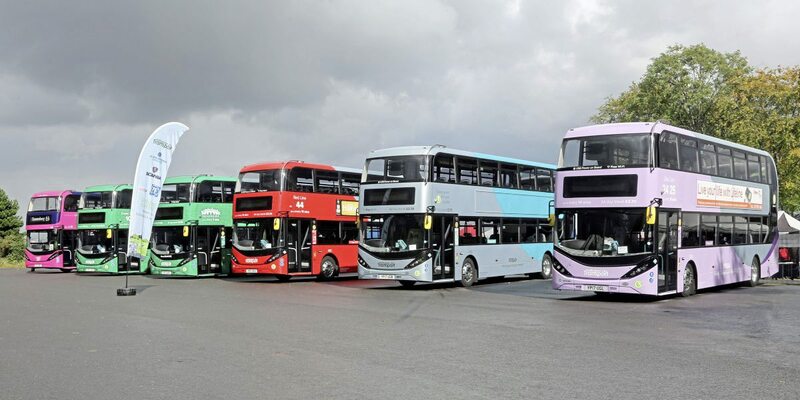 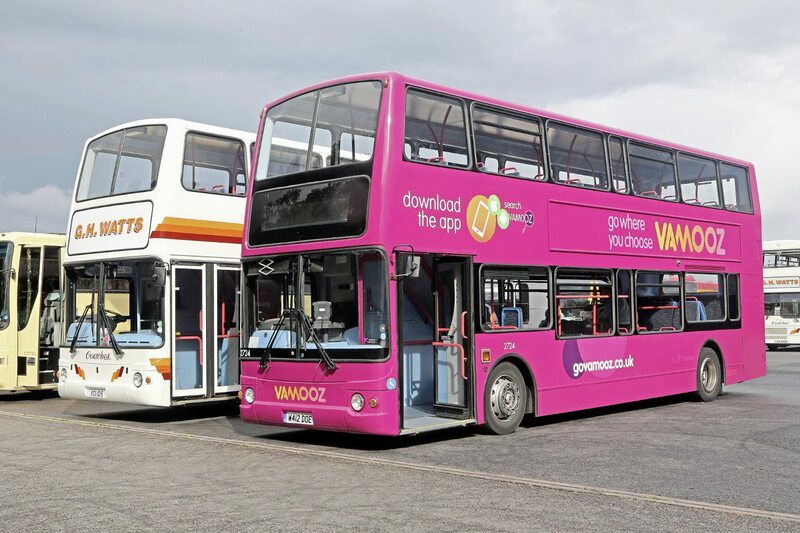 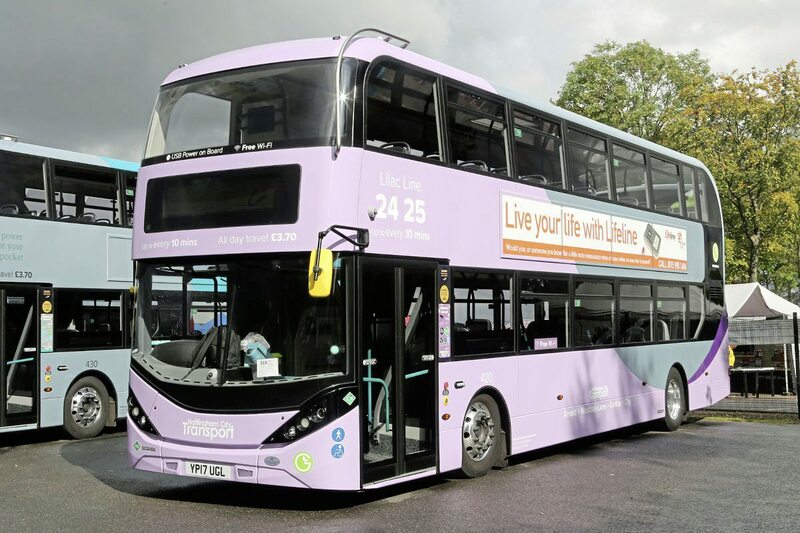 The event was well supported by local operators including Nottingham City Transport and trentbarton, both of whom had colourful displays to rival the rainbow which appeared late in the afternoon! 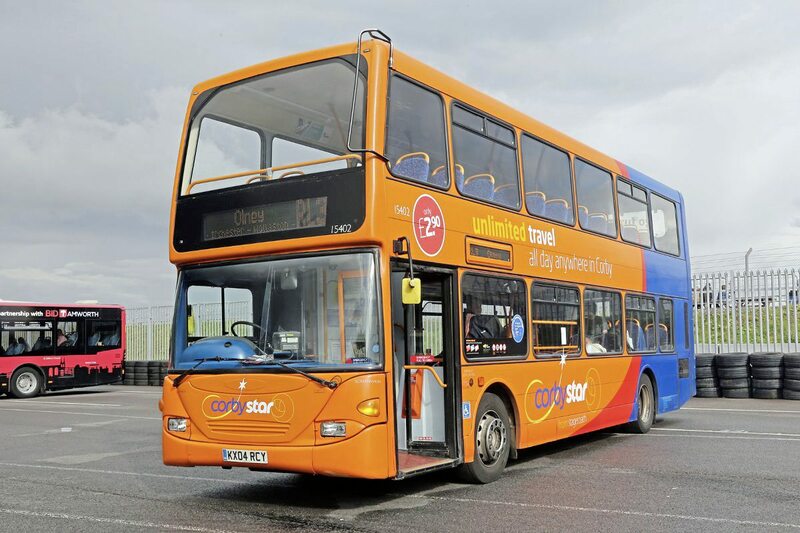 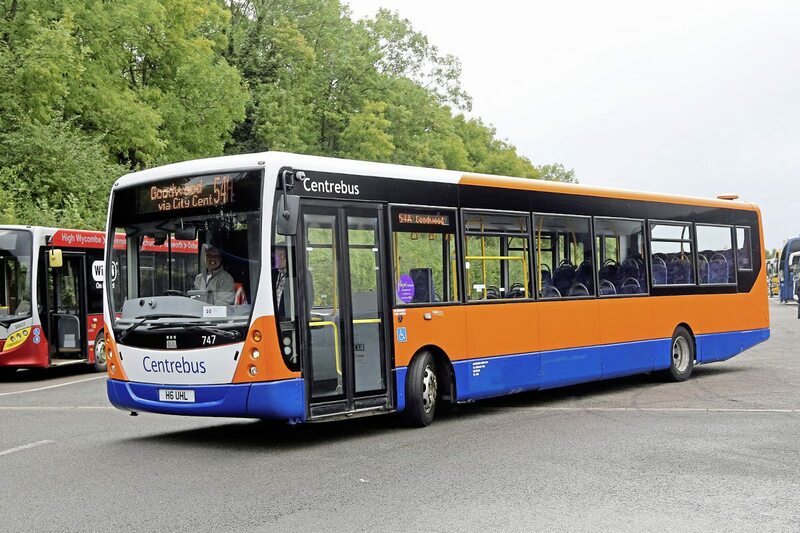 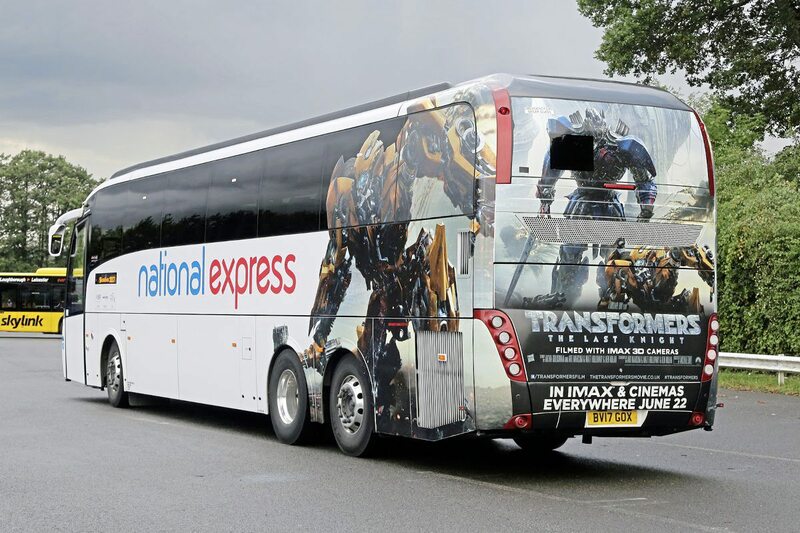 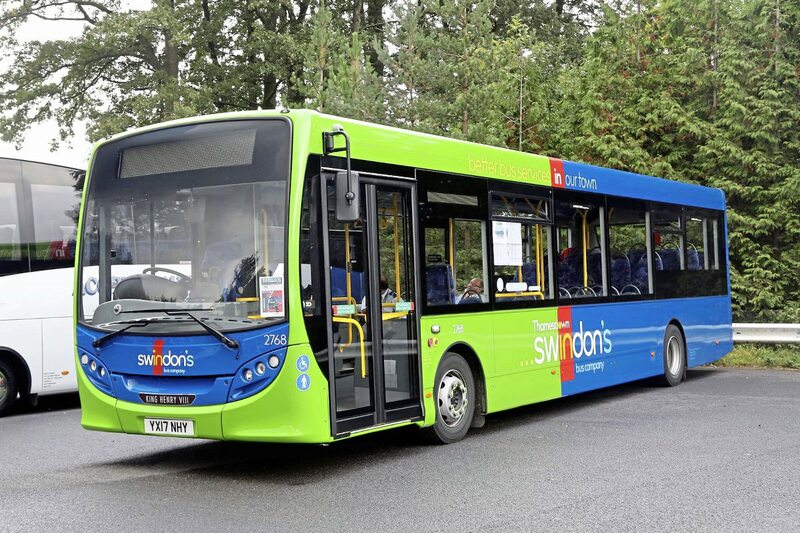 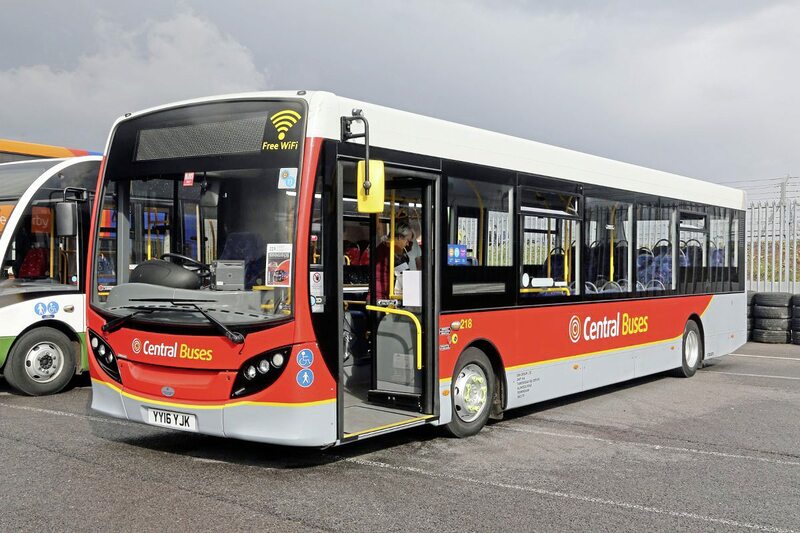 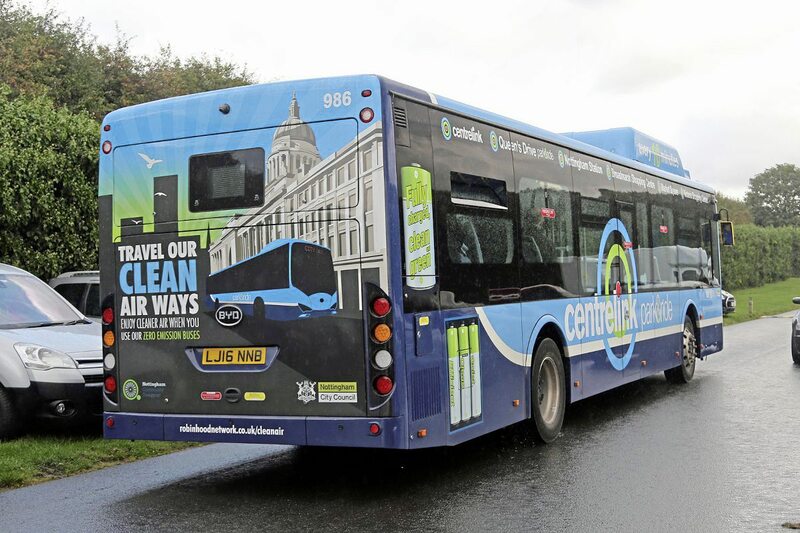 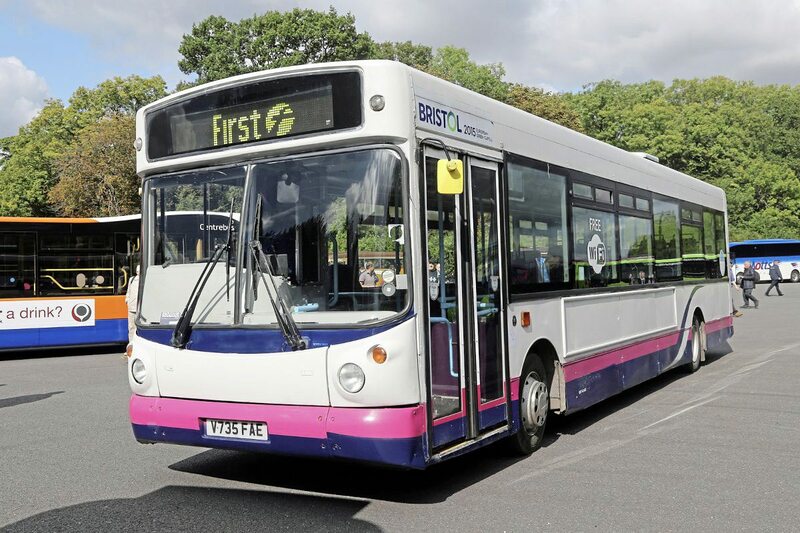 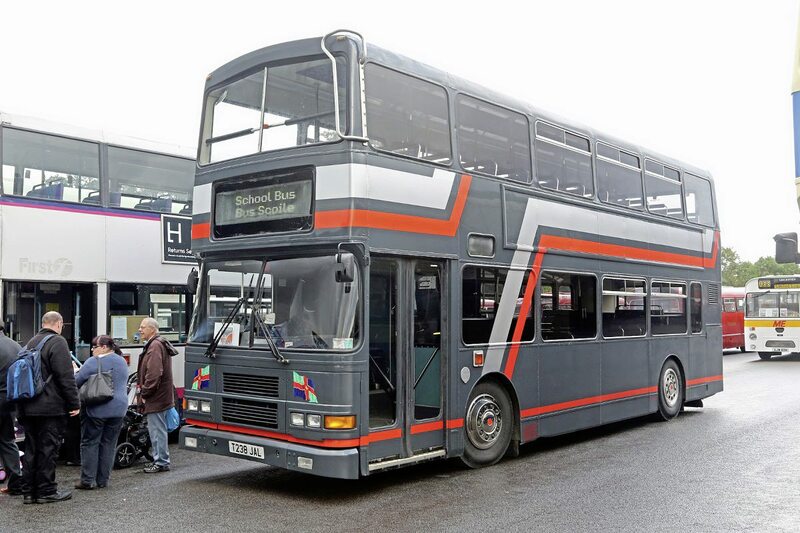 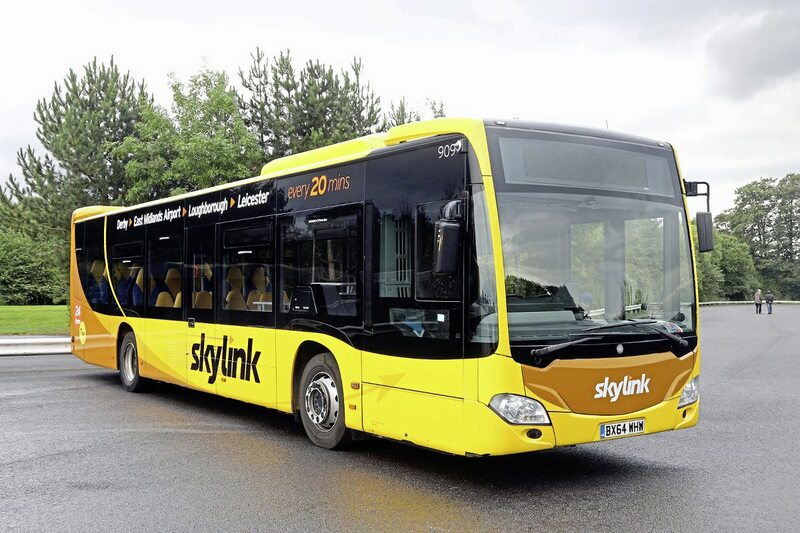 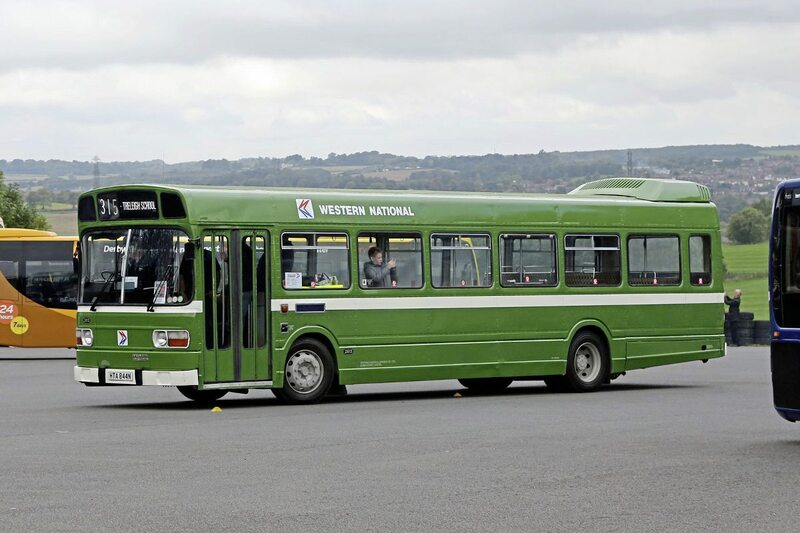 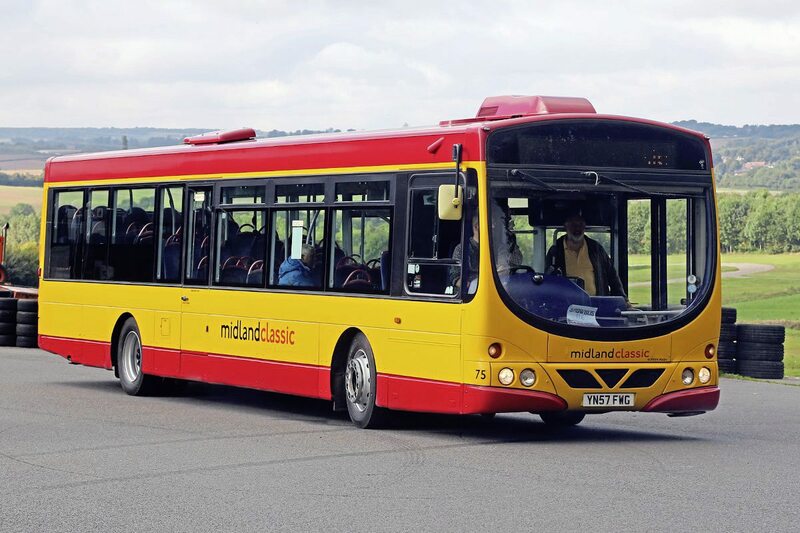 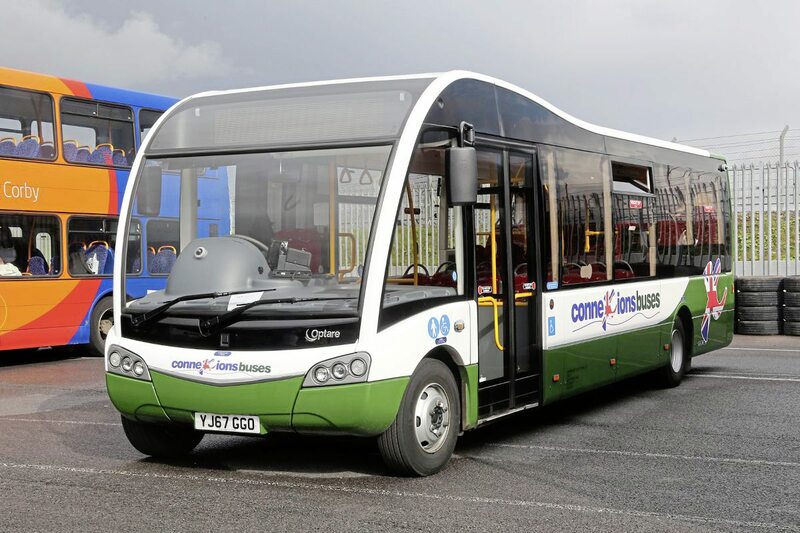 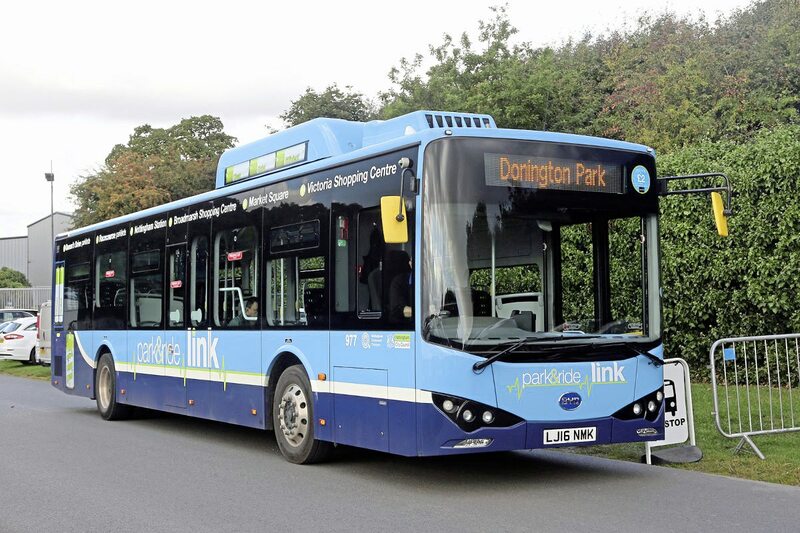 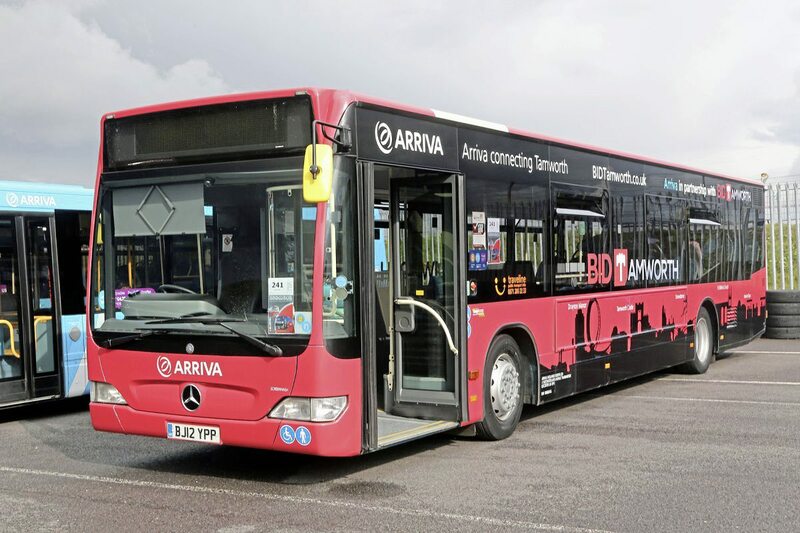 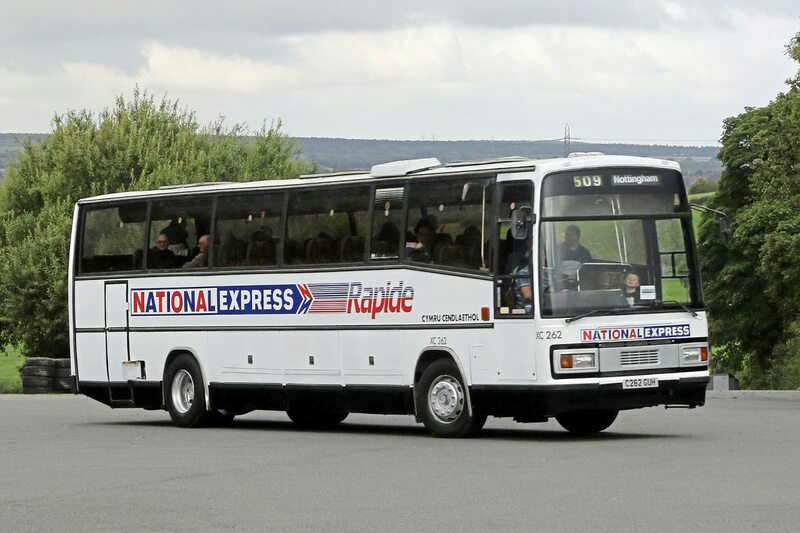 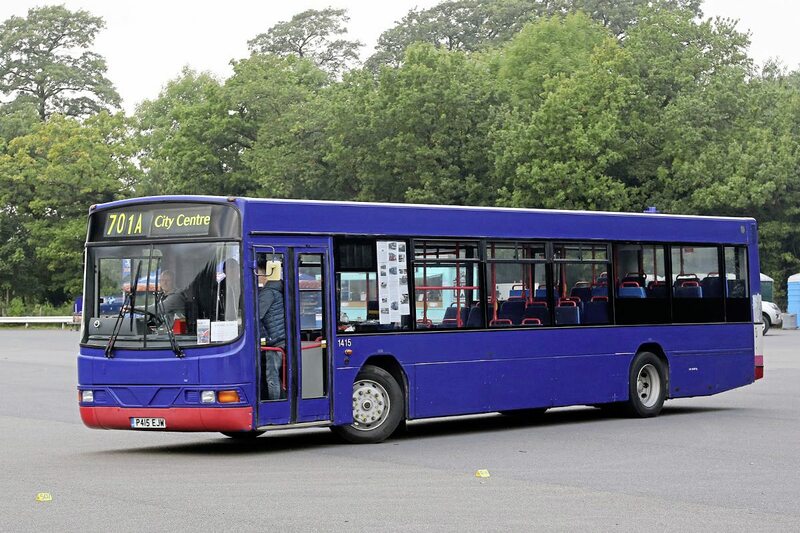 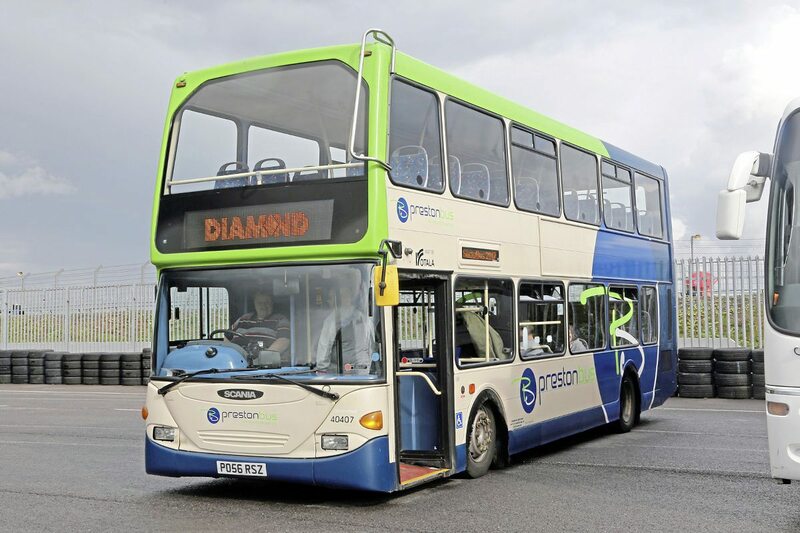 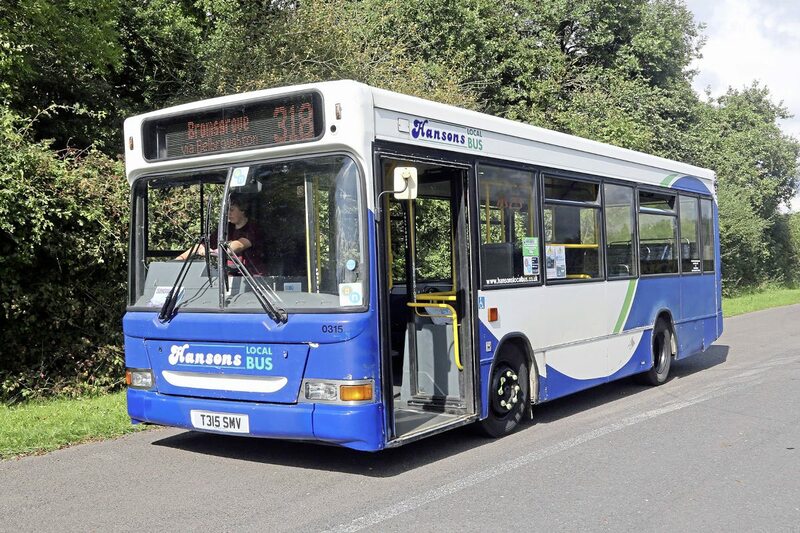 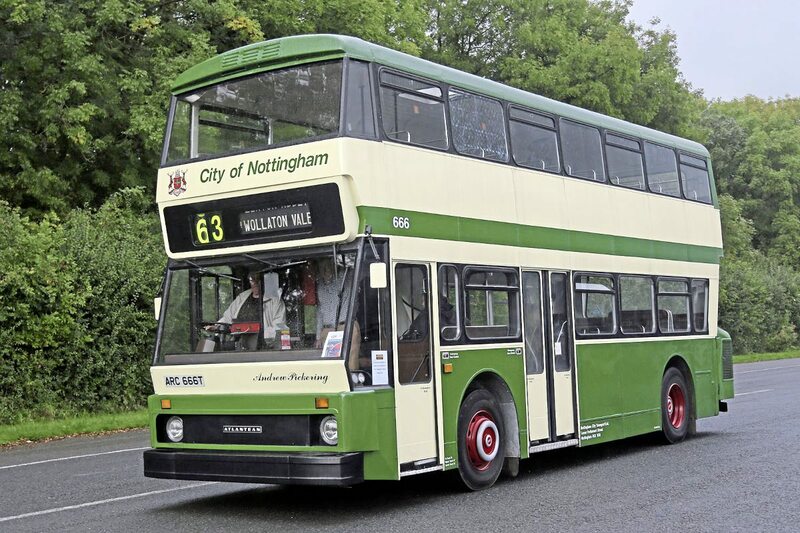 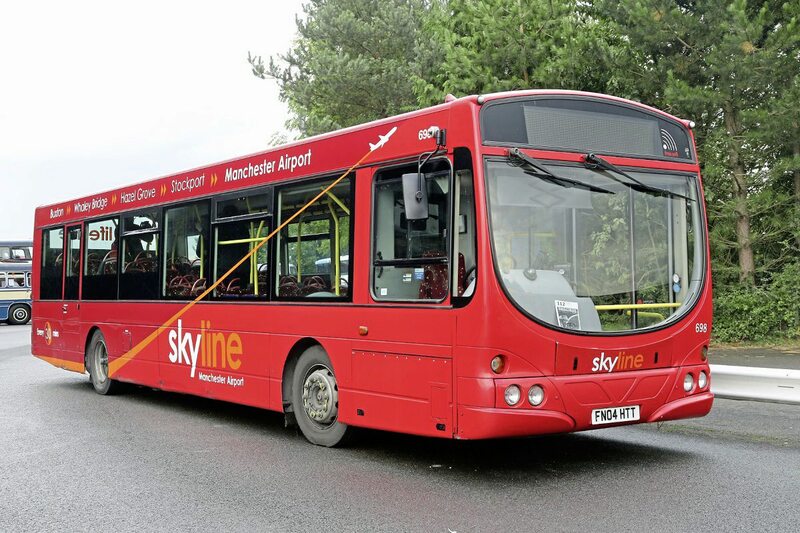 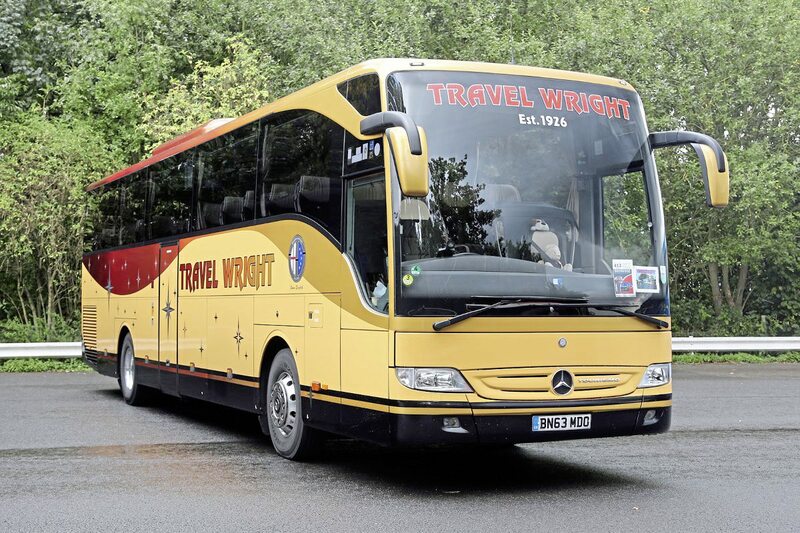 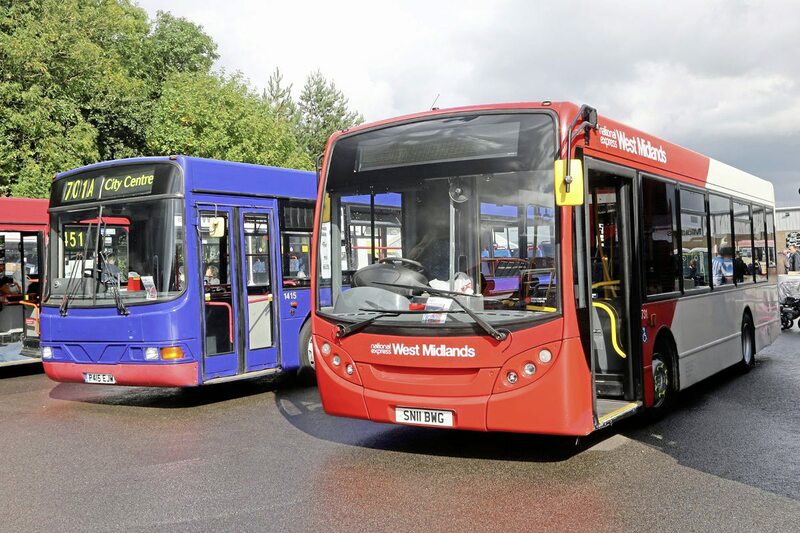 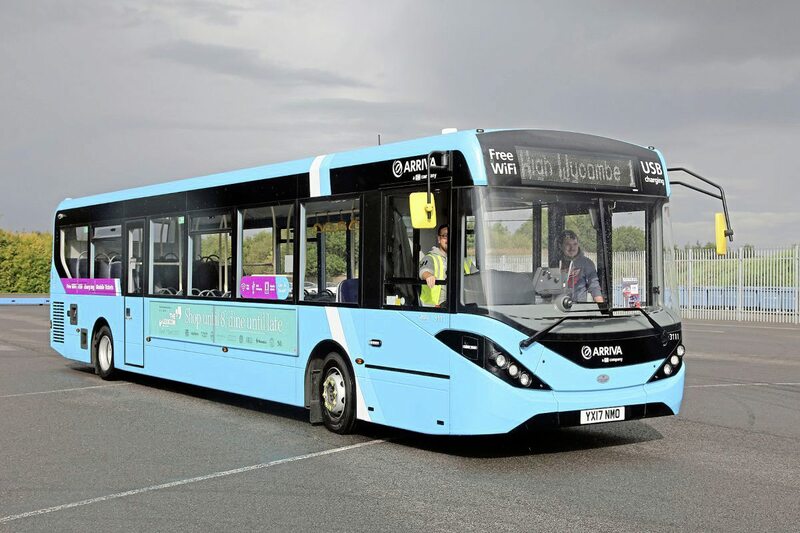 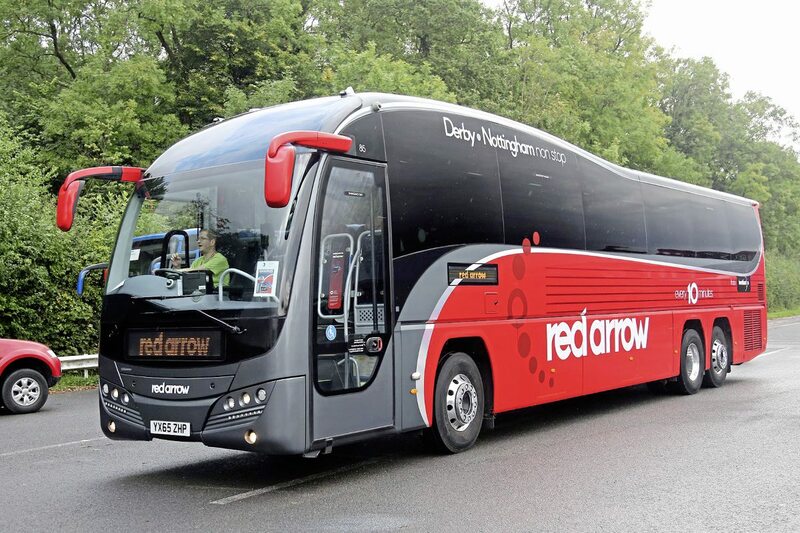 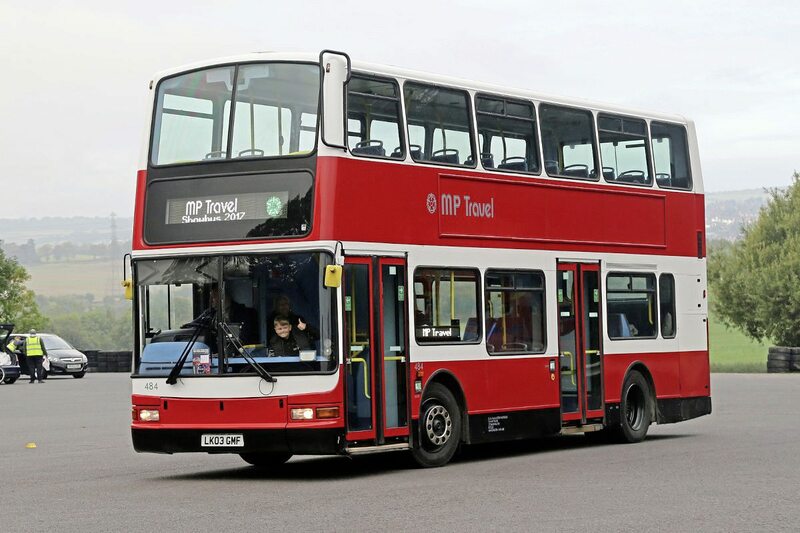 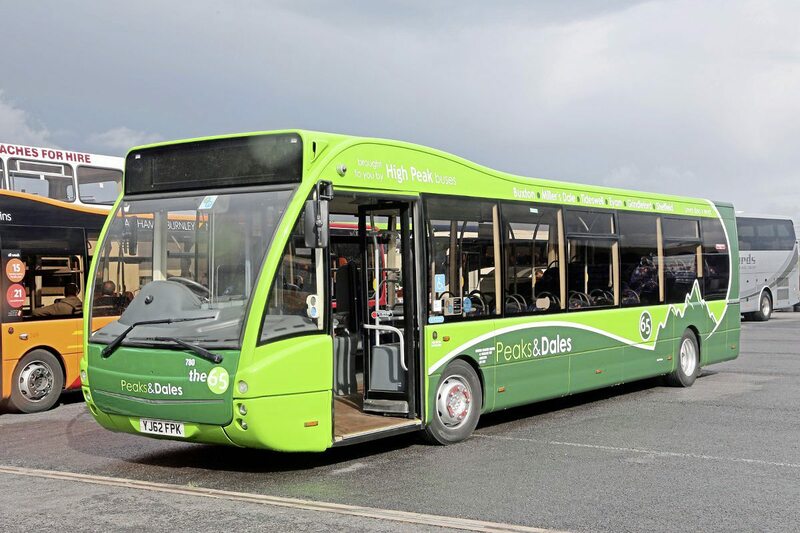 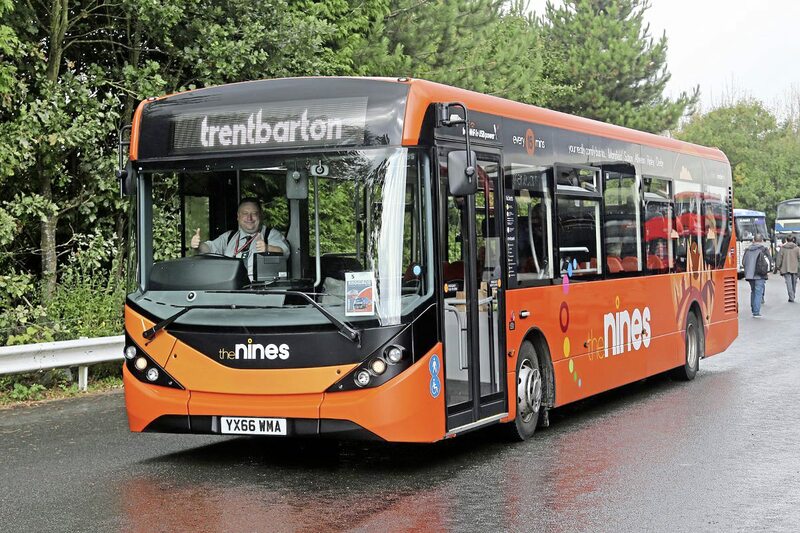 Using their BYD electric vehicles, Nottingham Community Transport provided a shuttle service to local attractions and the nearby East Midlands Parkway railway station. 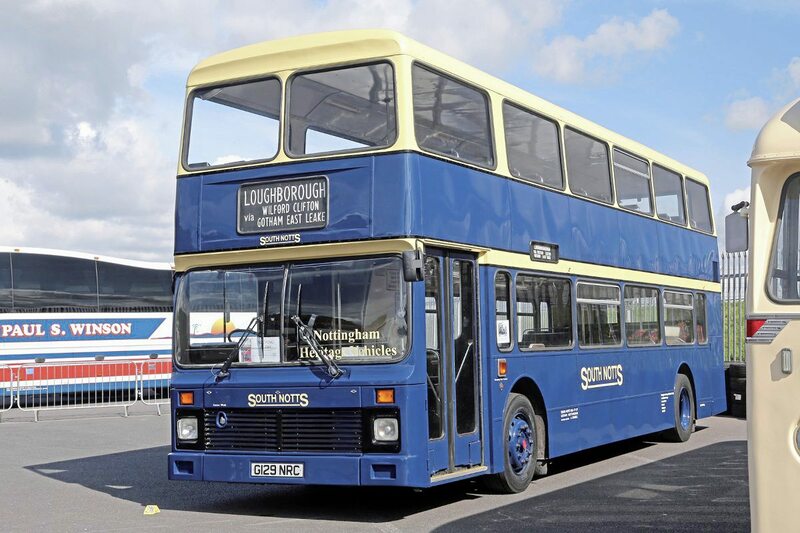 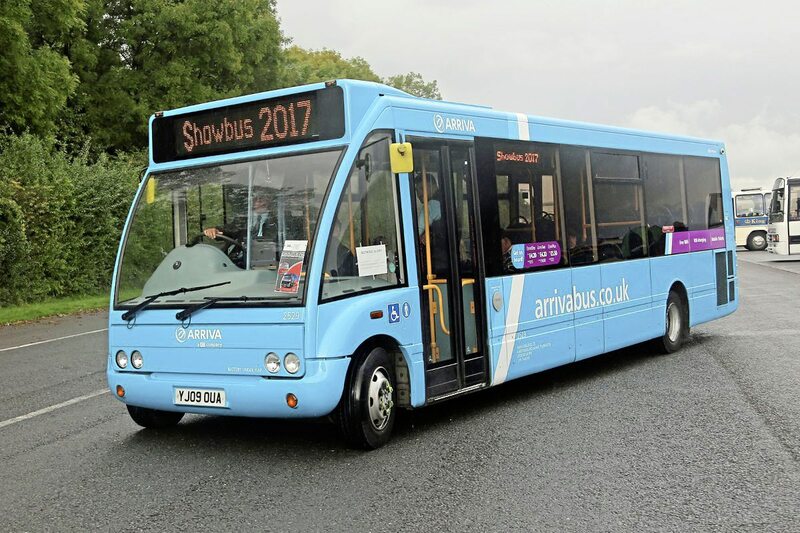 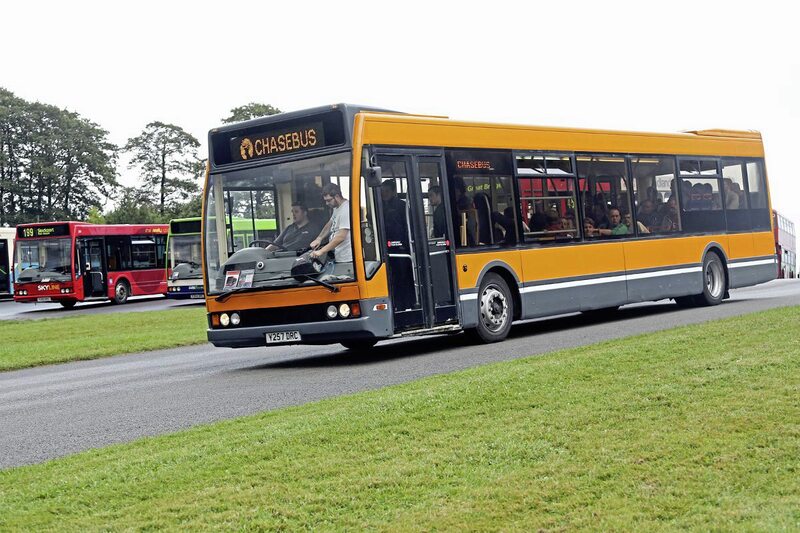 In 2018, Showbus will return to Donington Park on Sunday 16 September.